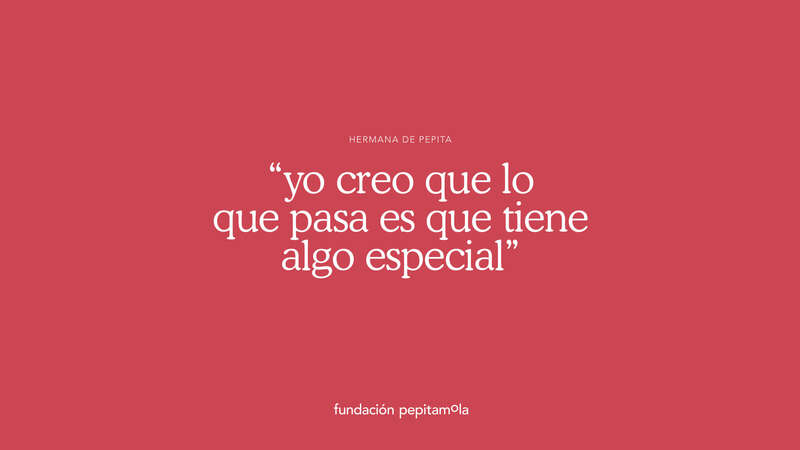 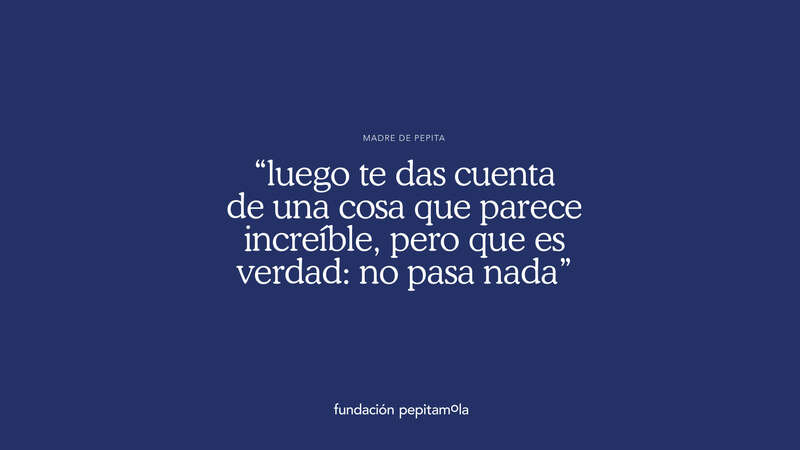 Pepita is great and what's different too. 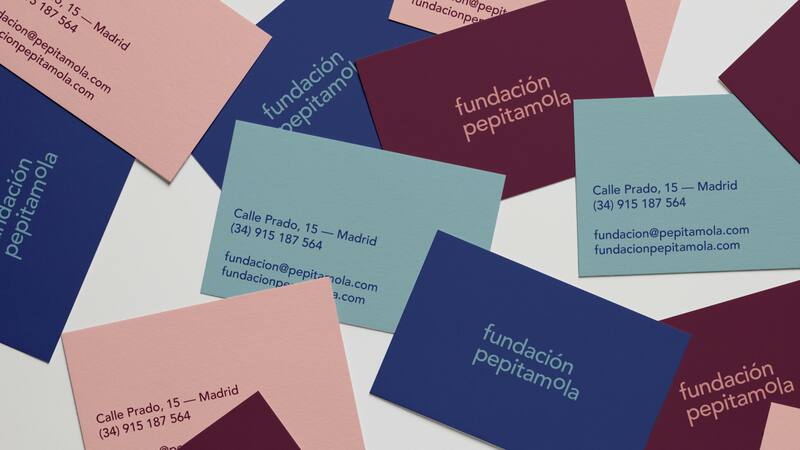 And that's why we want to highlight the name by slightly raising the letter "o", giving this visual identity the relevant personality at its height. 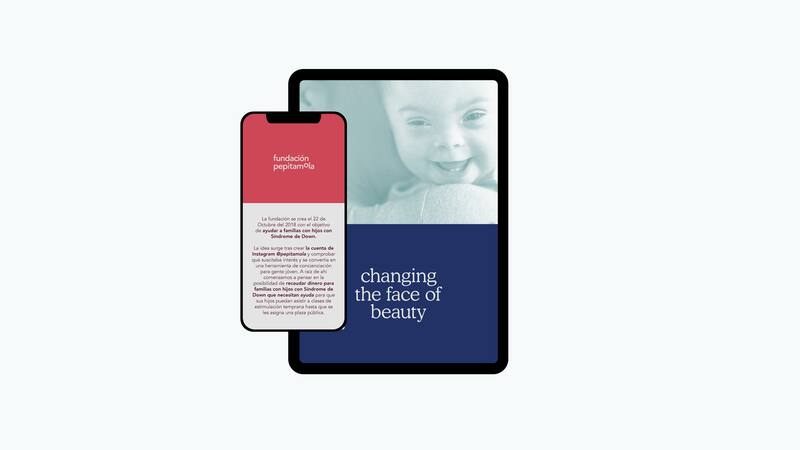 With a fun, colorful and warm character, the purpose of this foundation is to help those families with children with Down Syndrome that have no resources. 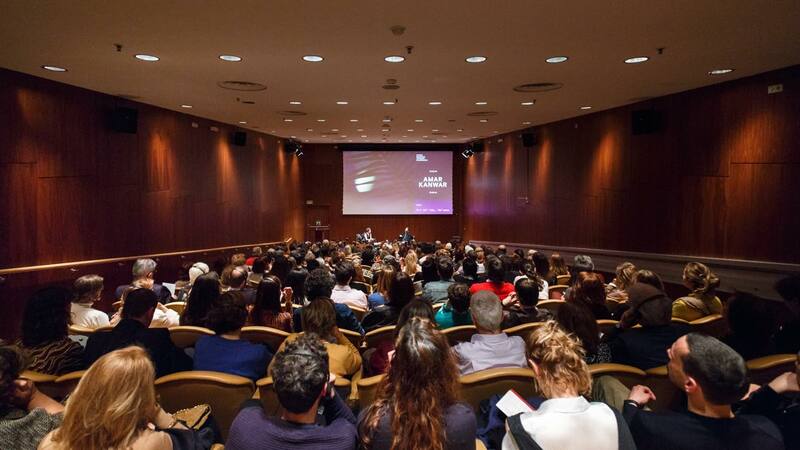 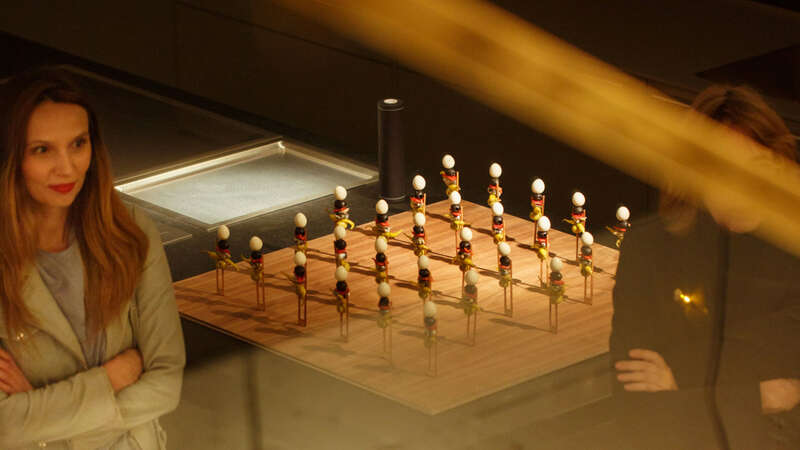 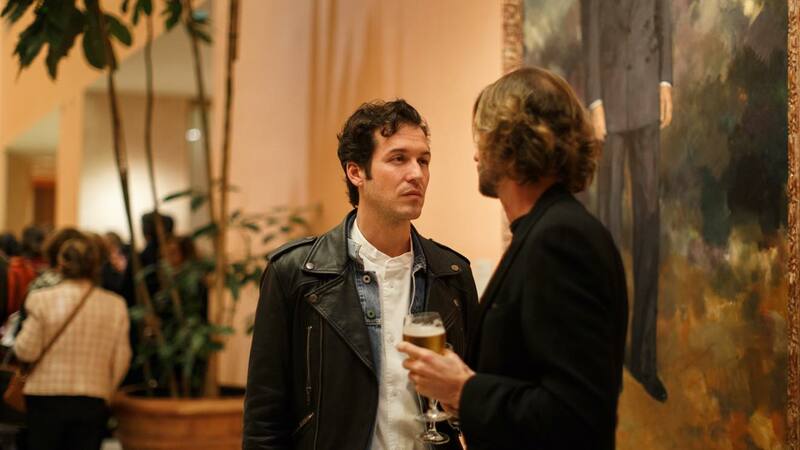 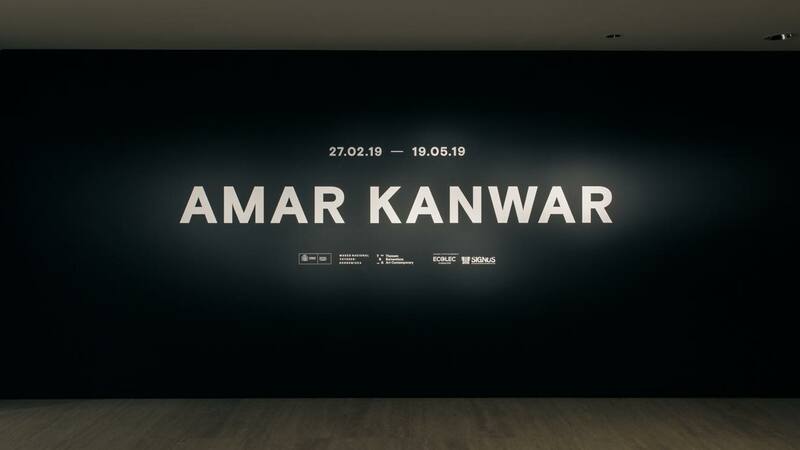 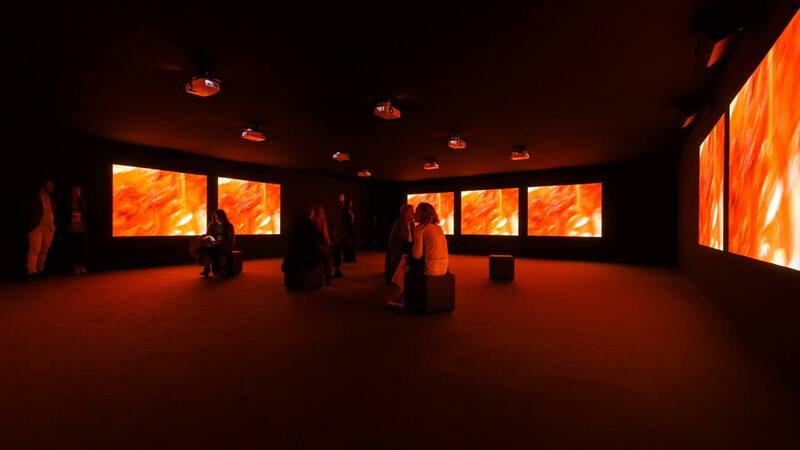 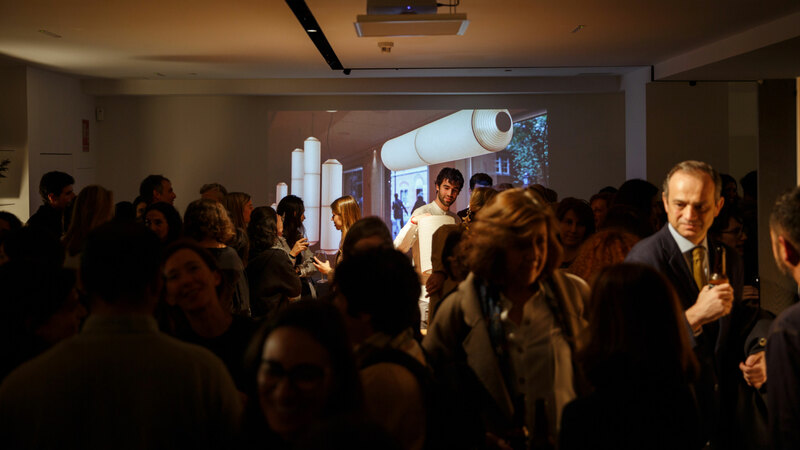 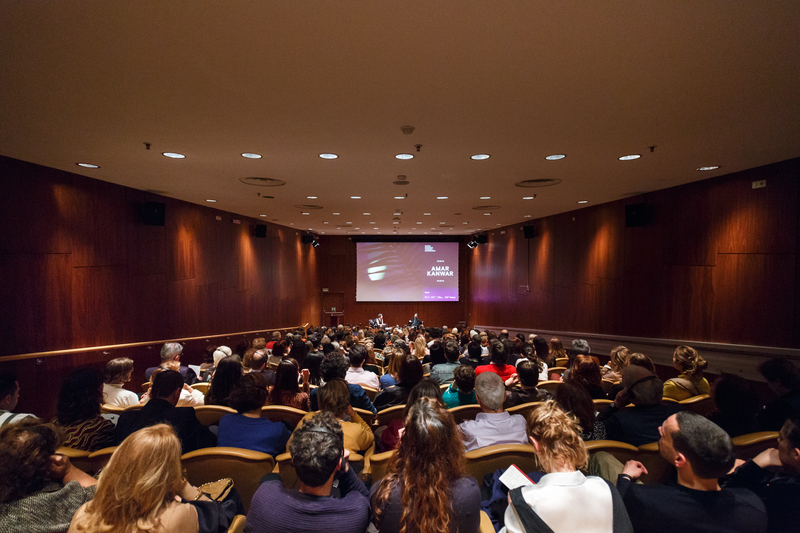 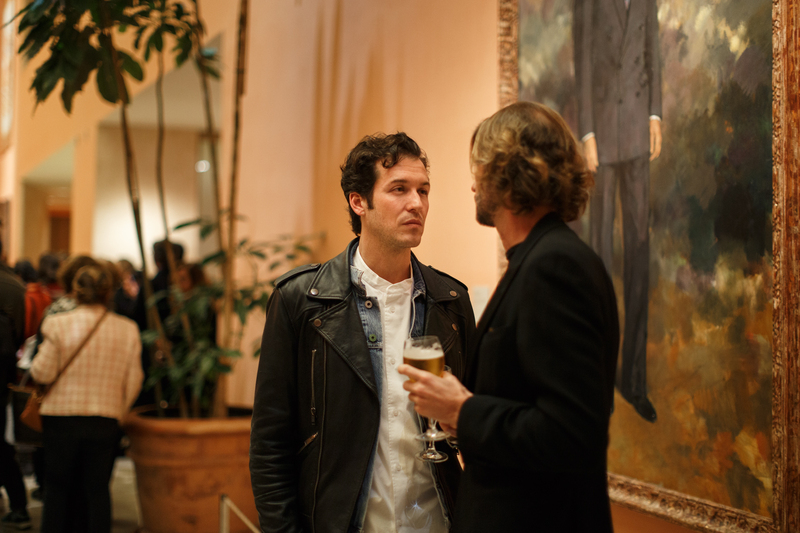 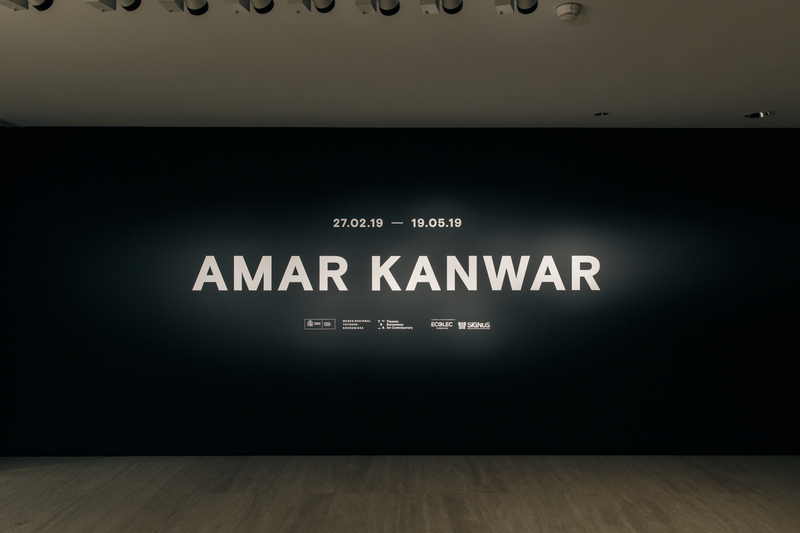 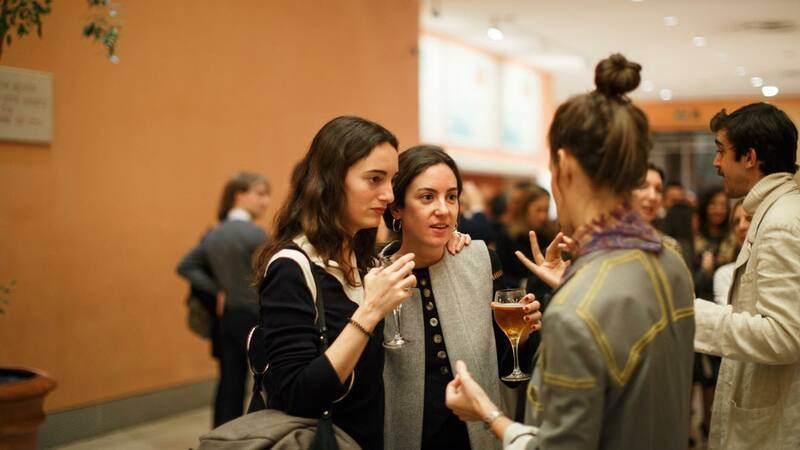 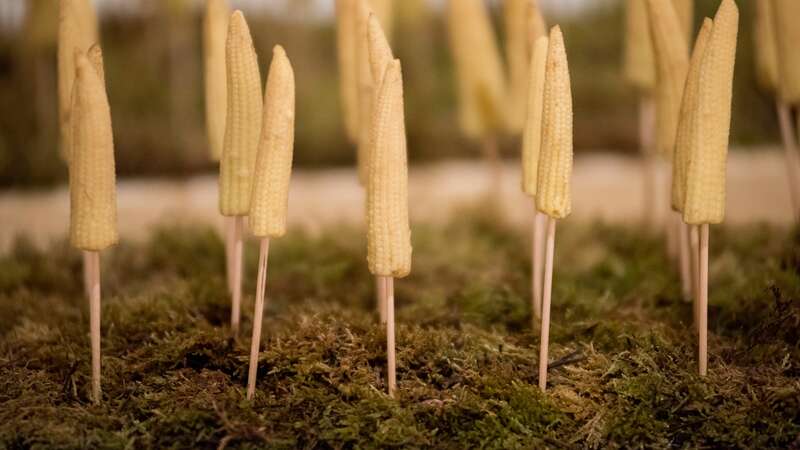 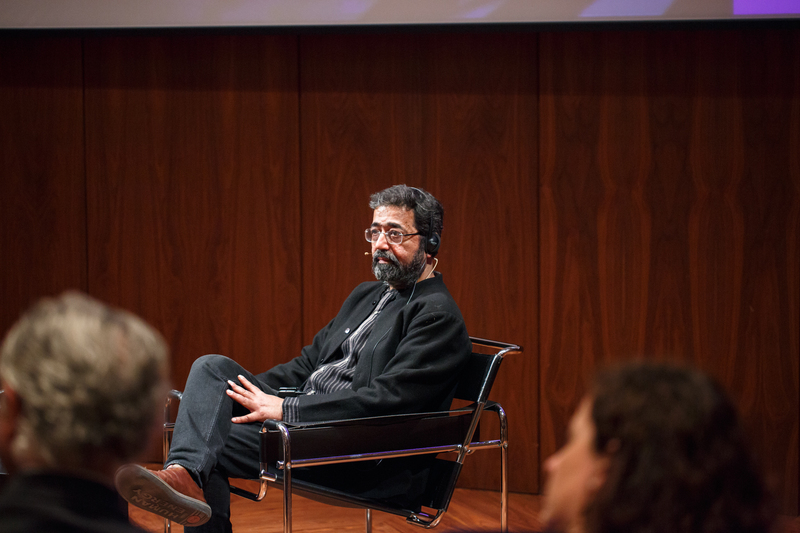 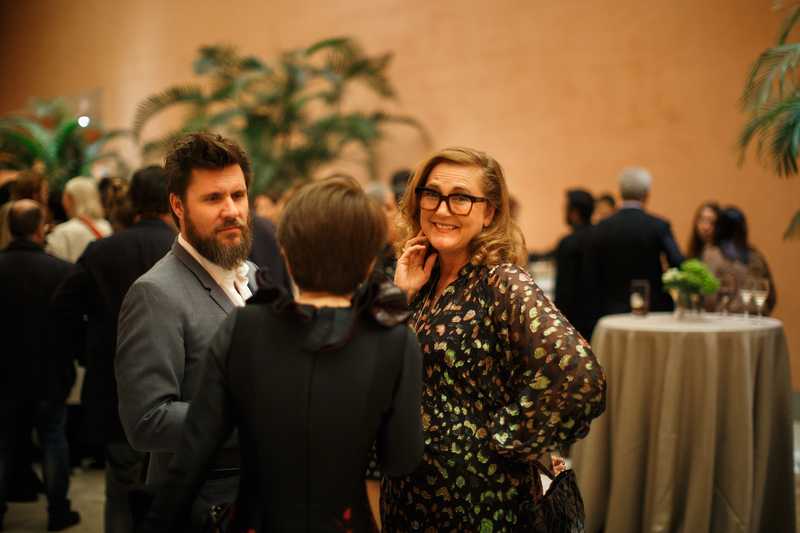 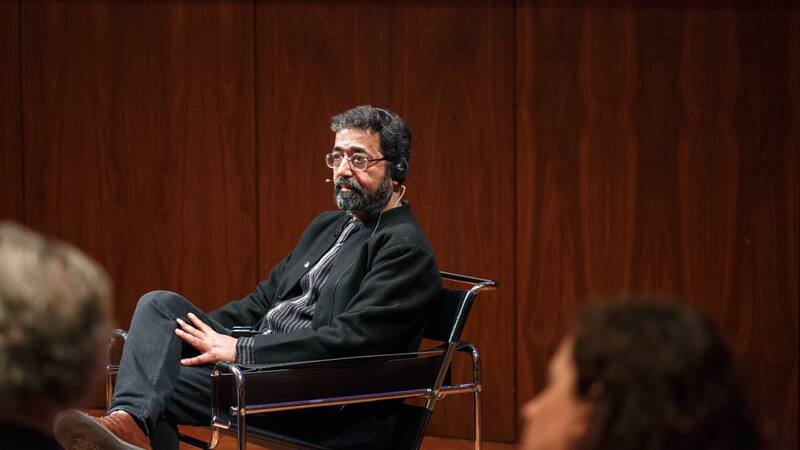 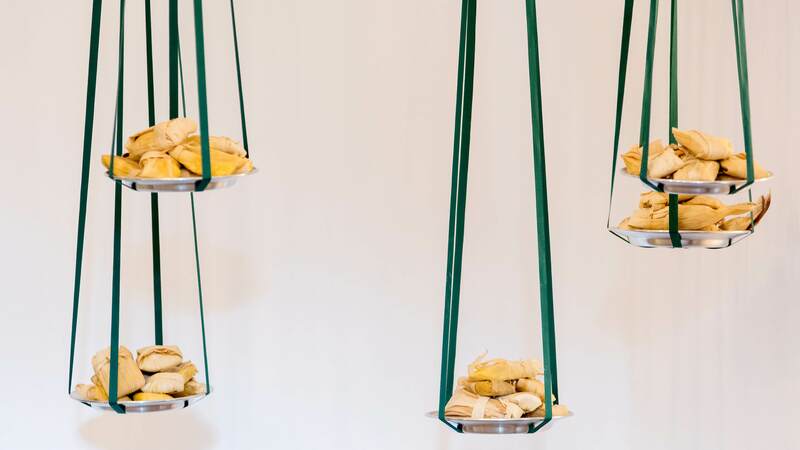 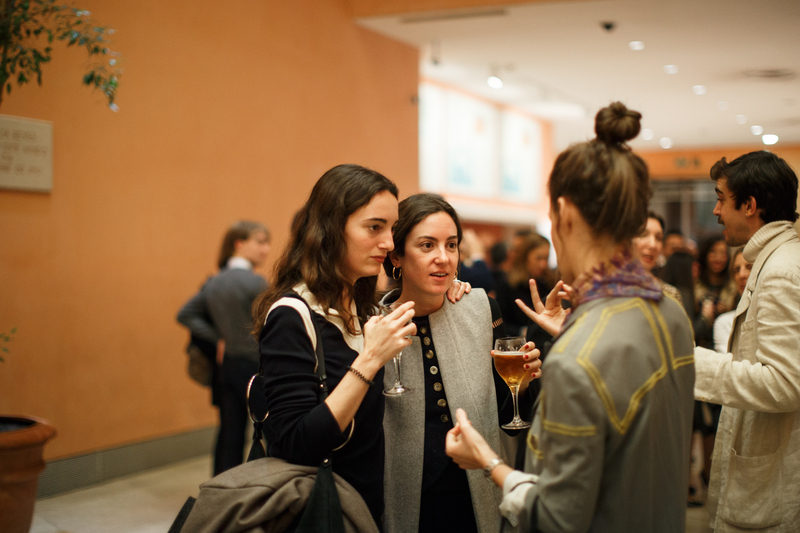 During the ARCO 2019 fair, the Thyssen-Bornemisza National Museum together with Thyssen-Bornemisza Art Contemporary, introduce two installations by the Indian artist and filmmaker Amar Kanwar, The Sovereign Forest and The lightning Testimonies. 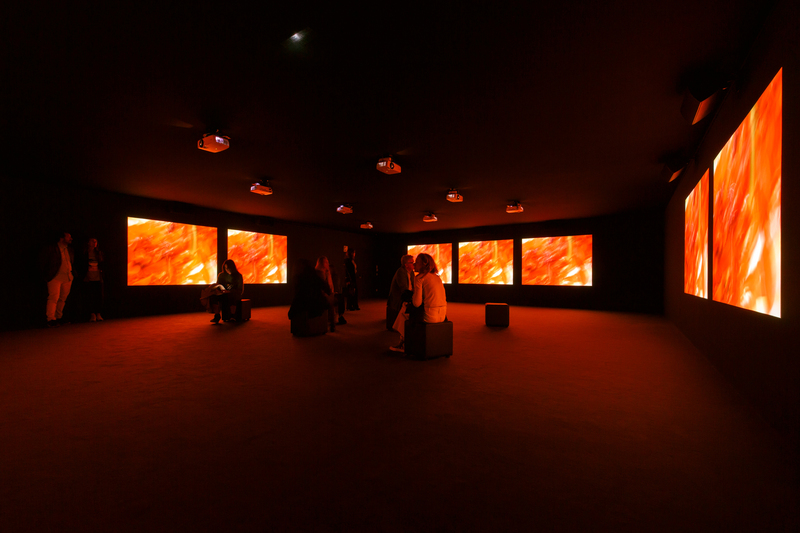 For the opening of this exhibition, Wozere was commissioned to summon personalities from the world of art, cinema, design and fashion. 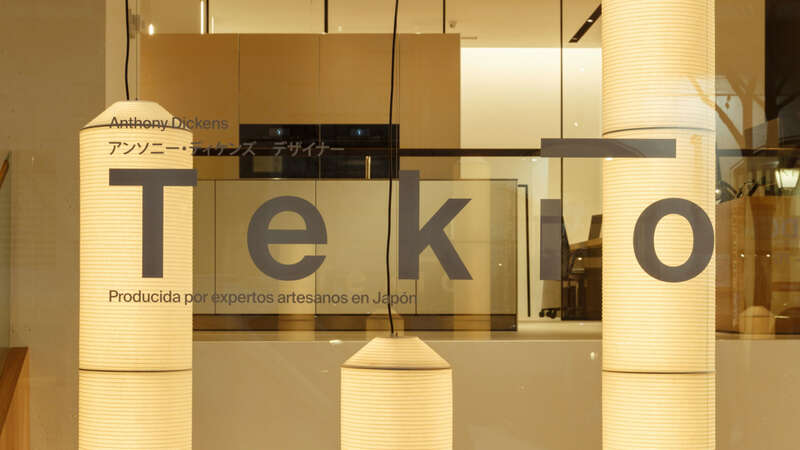 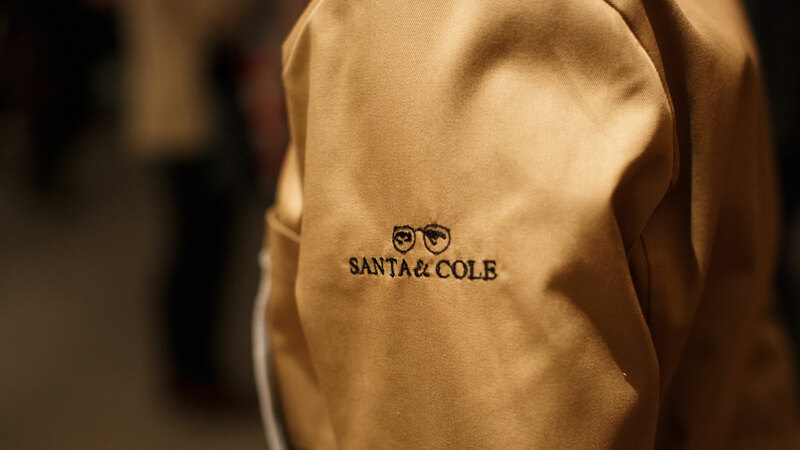 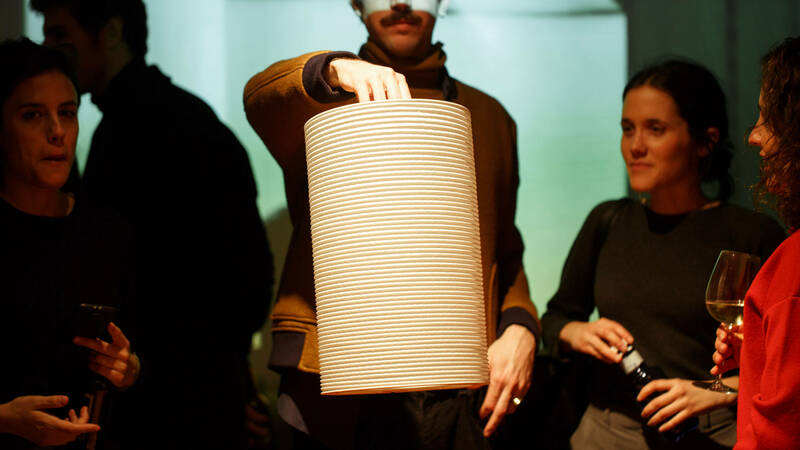 Santa & Cole presented its Tekiò lamps in Madrid on the occasion of the Madrid Design Festival. 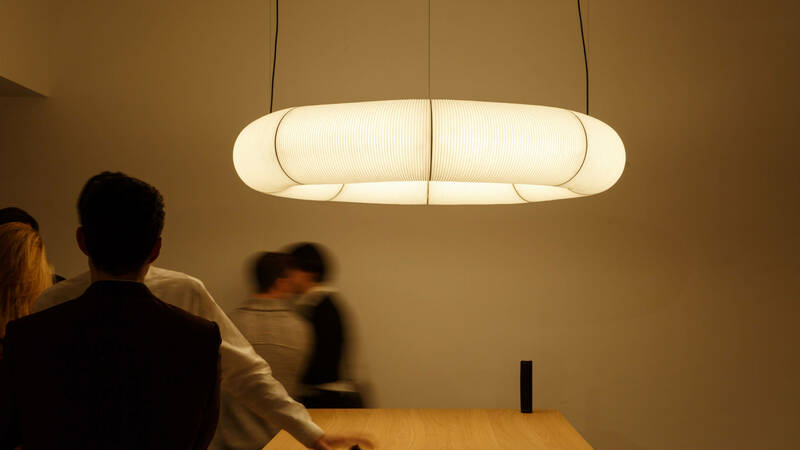 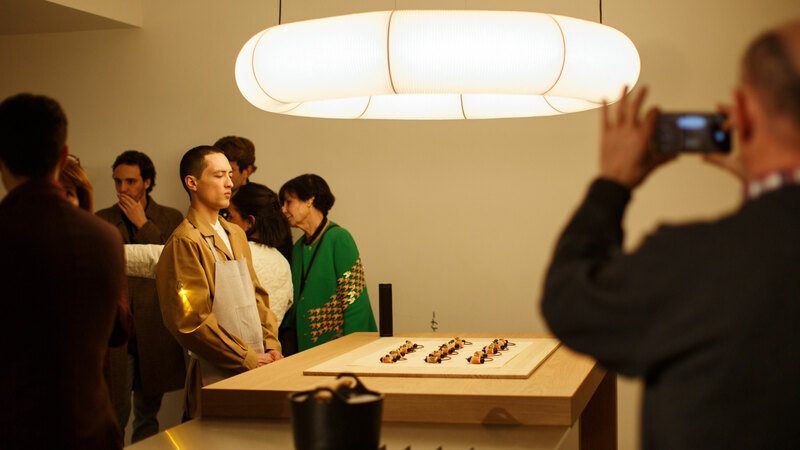 Wozere and the creative head Miquel Ángel Vaquer conceived a tribute event to the horizontal, vertical and circular character of the lamps. 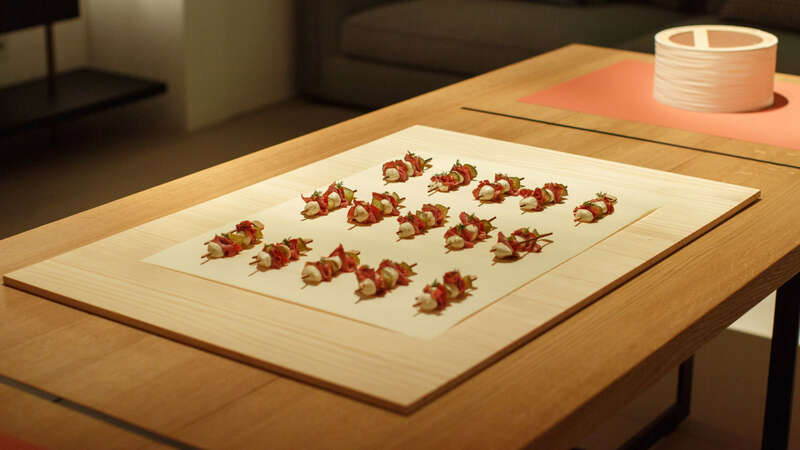 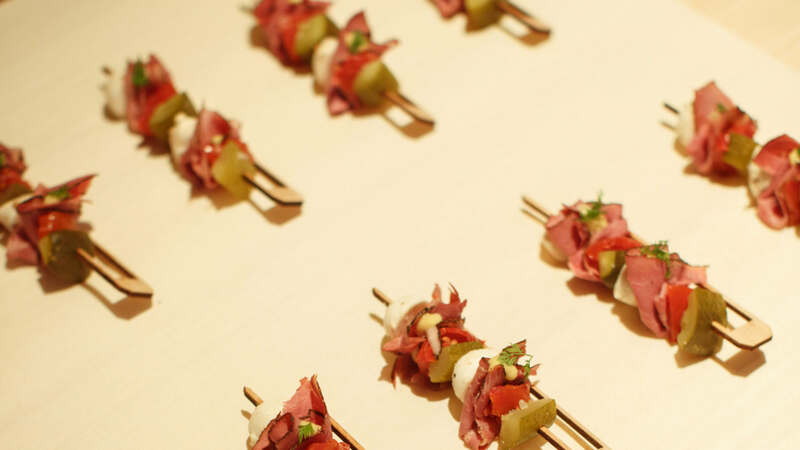 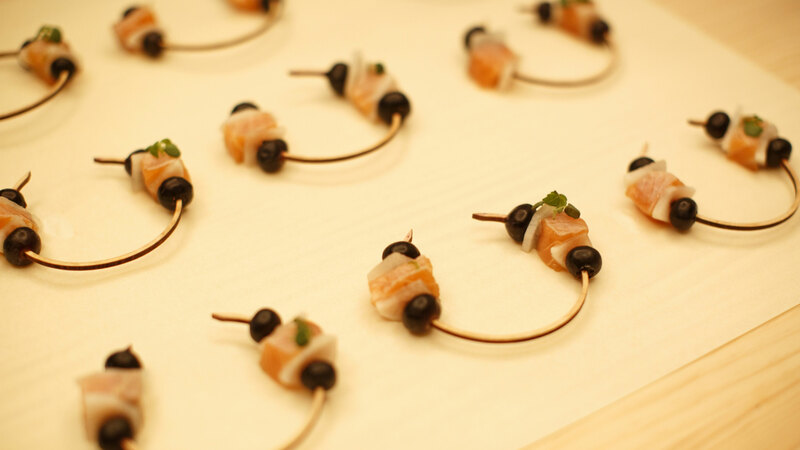 A mix of skewers designed for the event (vertical, horizontal and circular) that moved us to the origins of Tekiò. 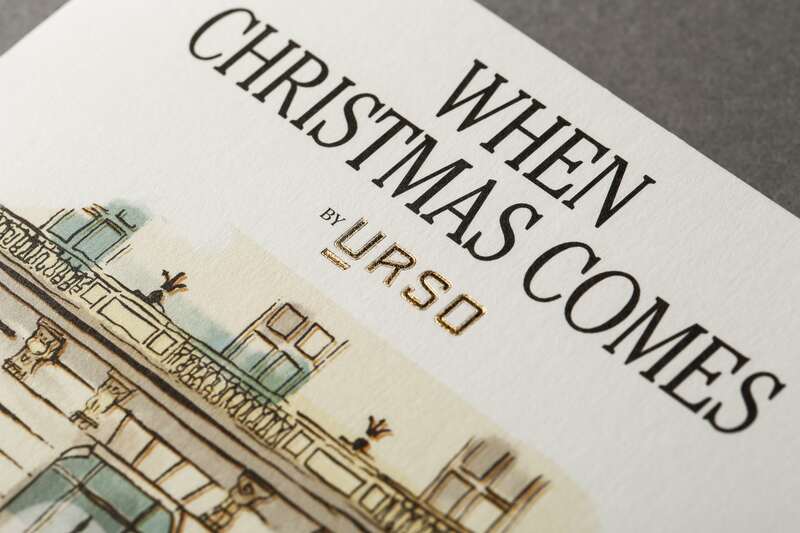 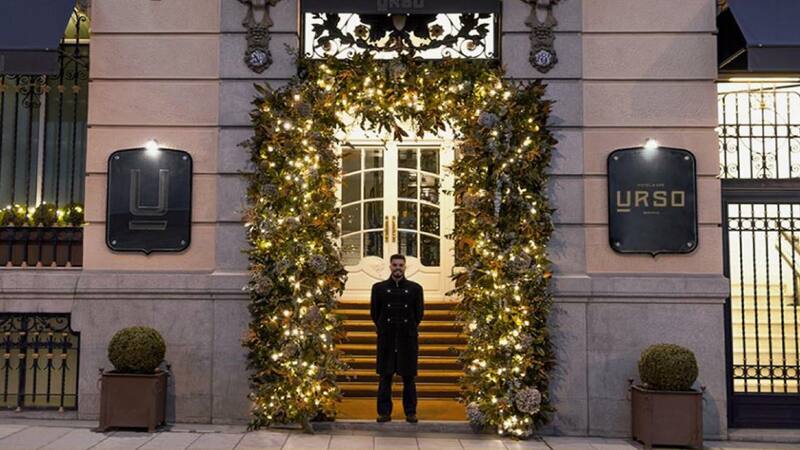 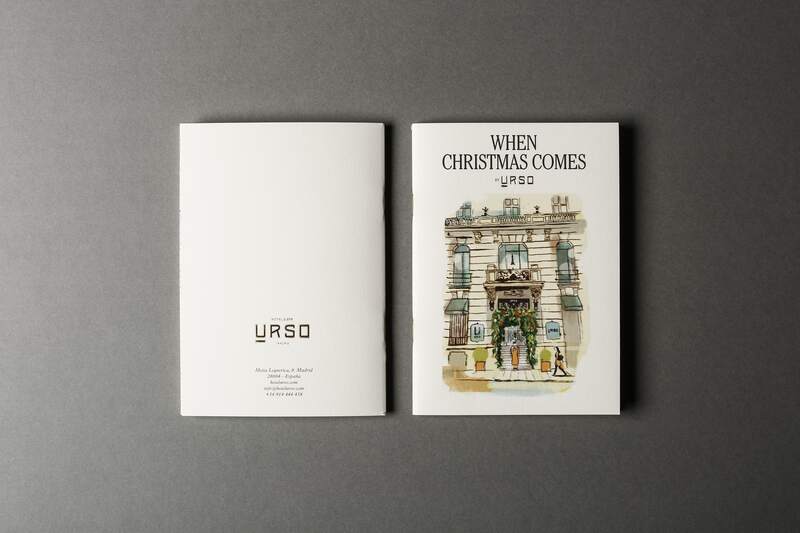 For the Christmas campaign of the URSO Hotel we have created "When Christmas Comes": special gastronomic offers for these dates, a Spa ambassadors plan, Christmas Deco for the common areas and façade. 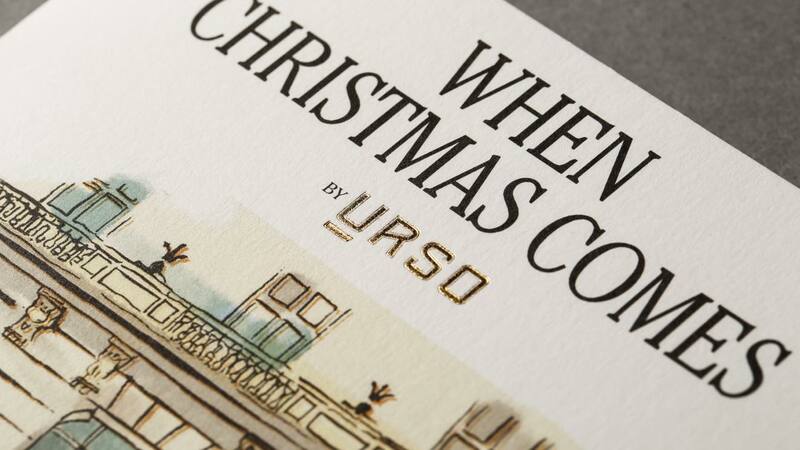 All this compiled in a very Christmas illustrated booklet. 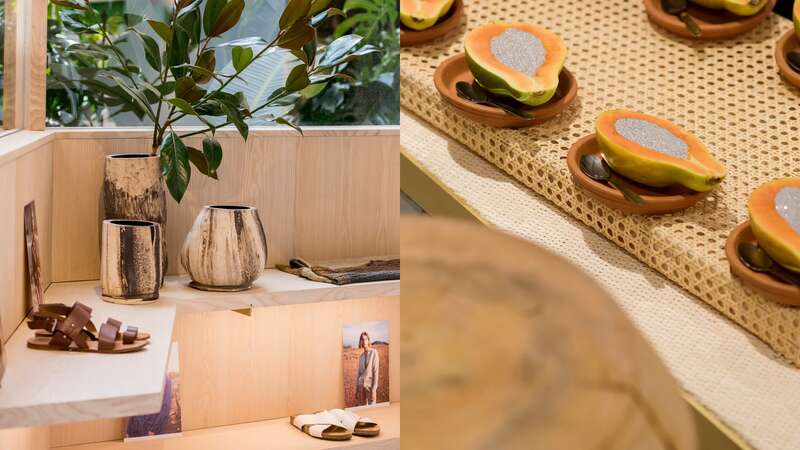 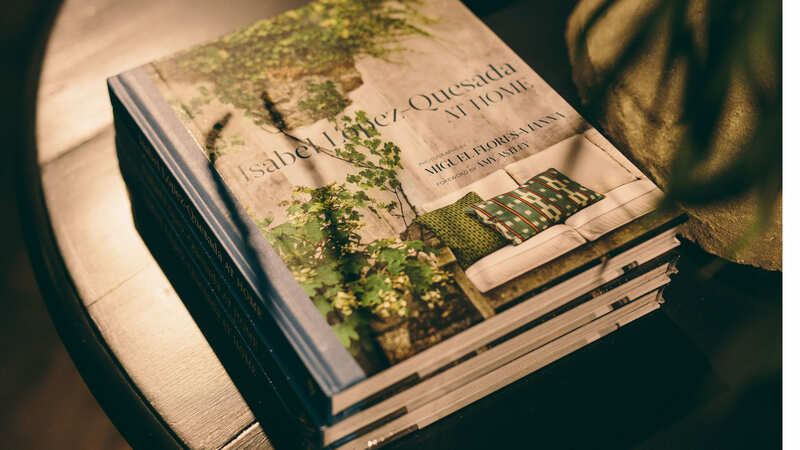 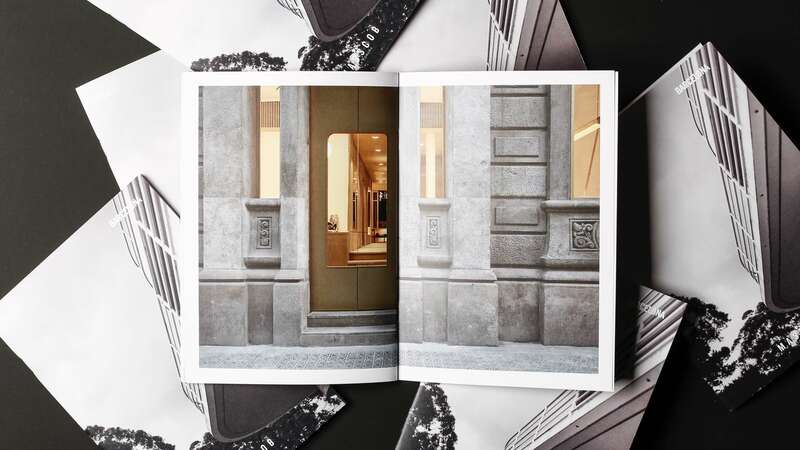 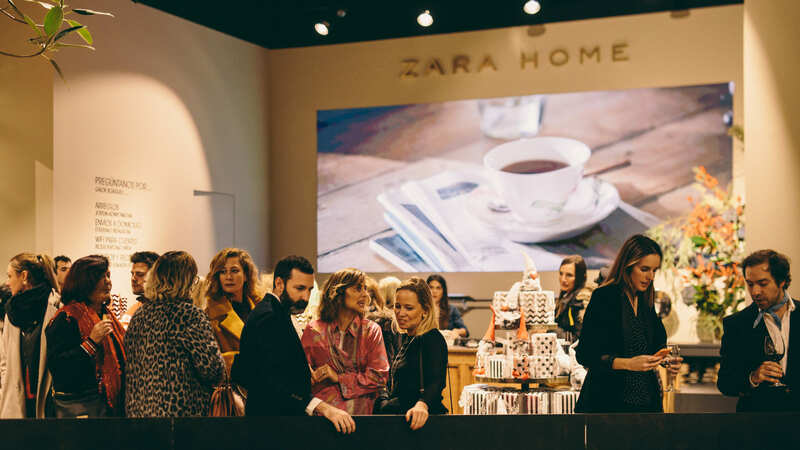 Again, Isabel López Quesada surprises with the design of the more than 700 square meters of the new Zara Home concept store in Bilbao. 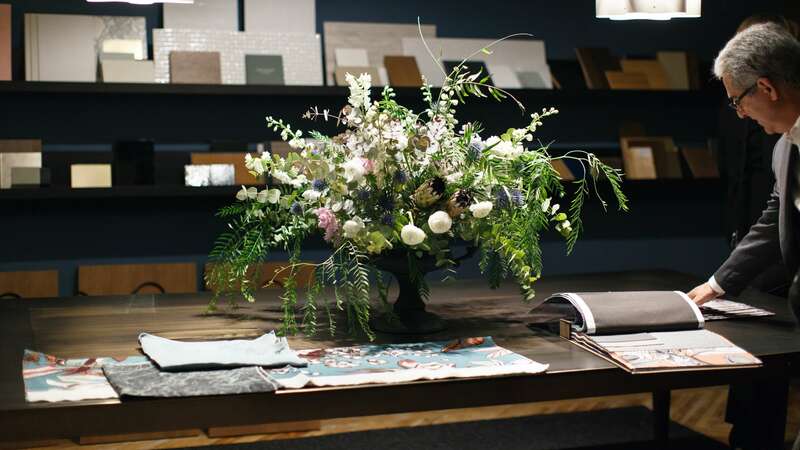 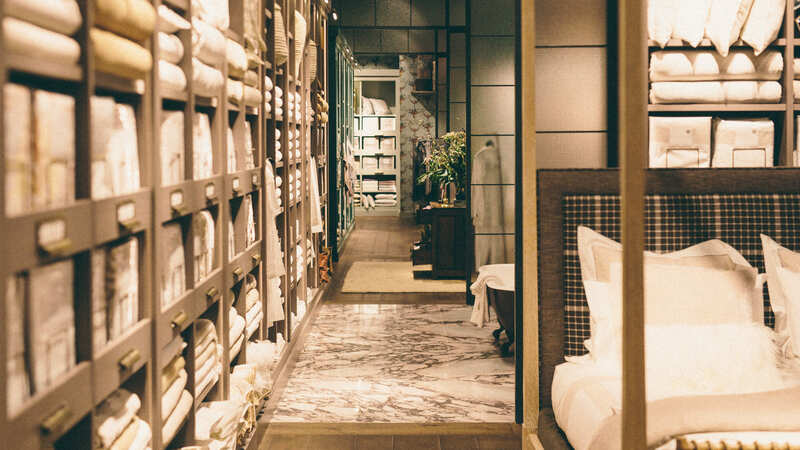 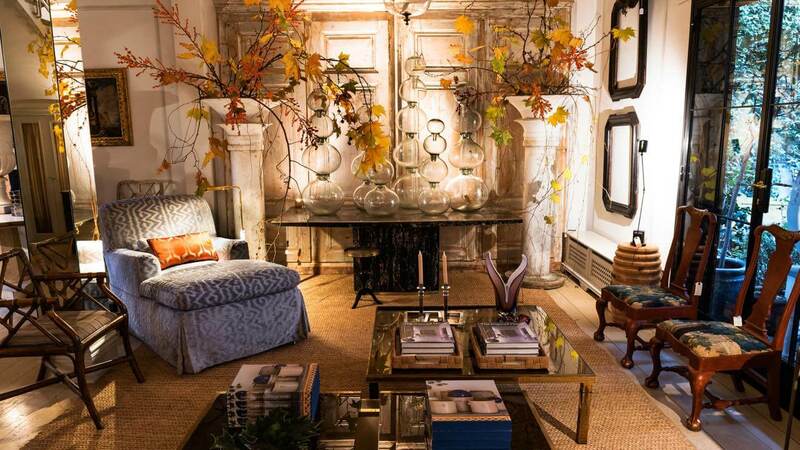 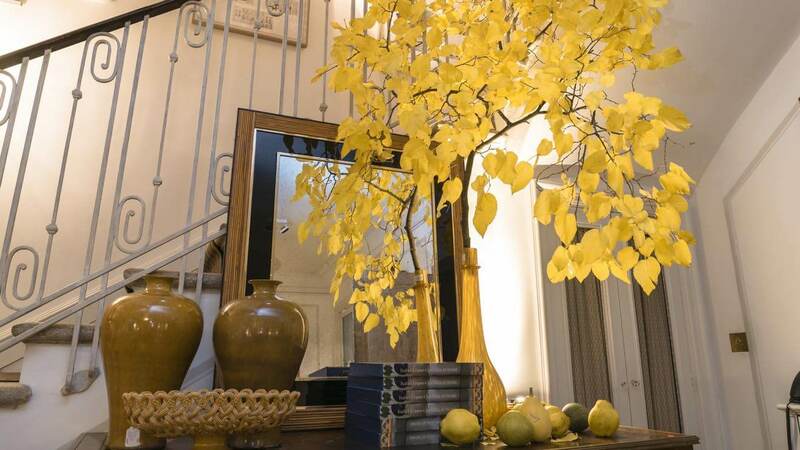 Noble materials and dark colors create a cozy atmosphere inside the store. 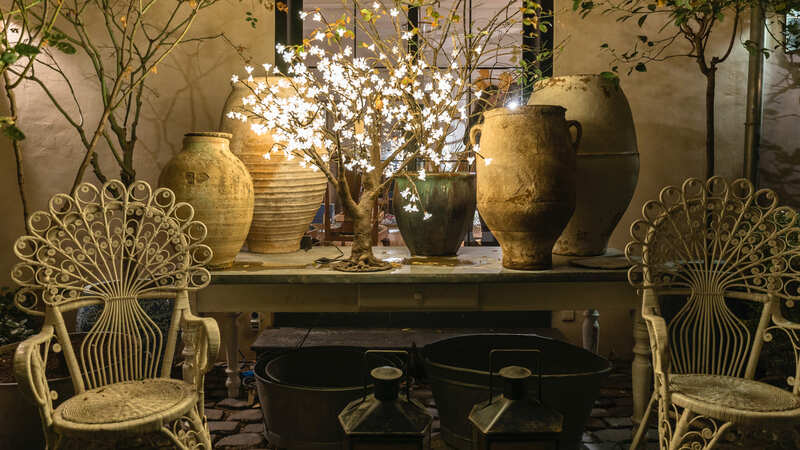 As in Palma, this store has recreated the interior of an authentic house. 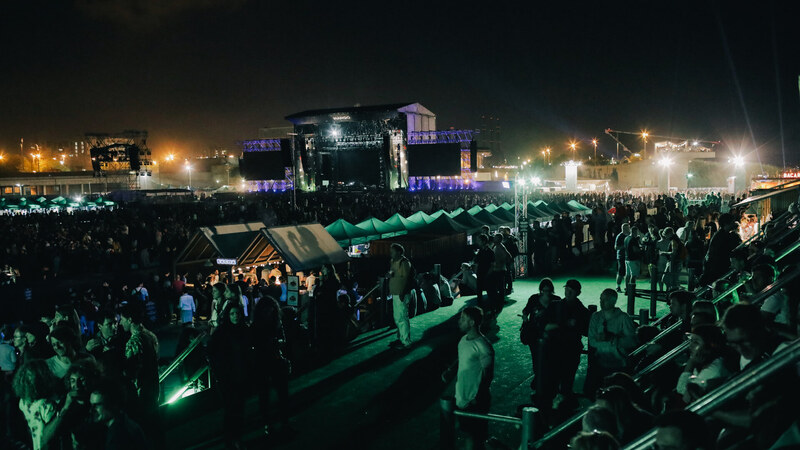 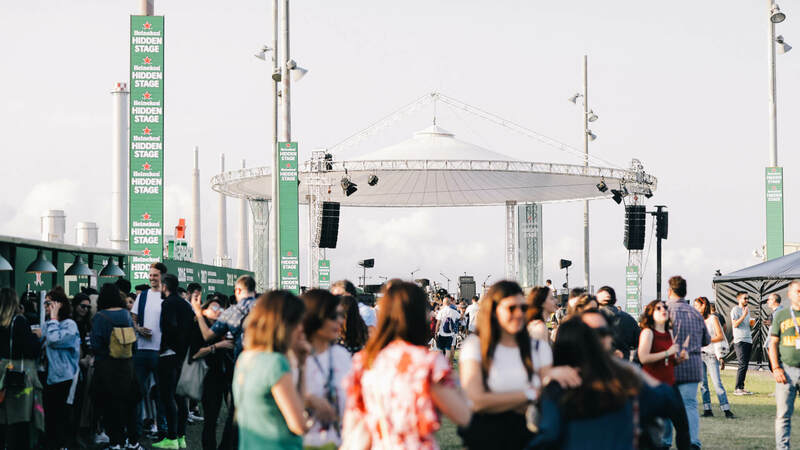 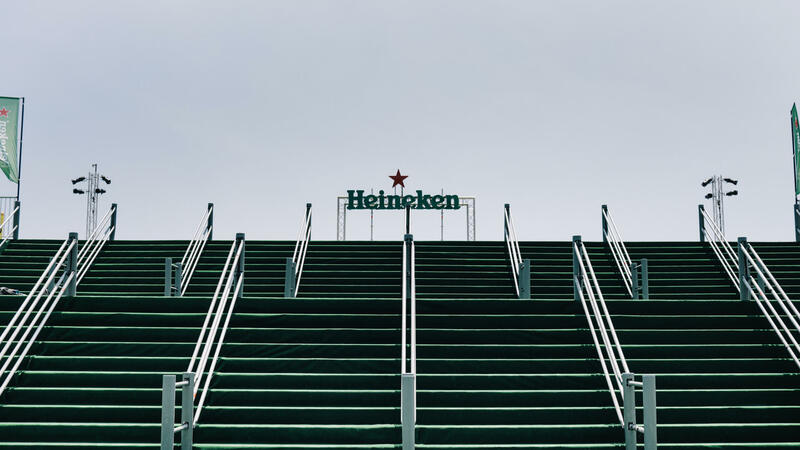 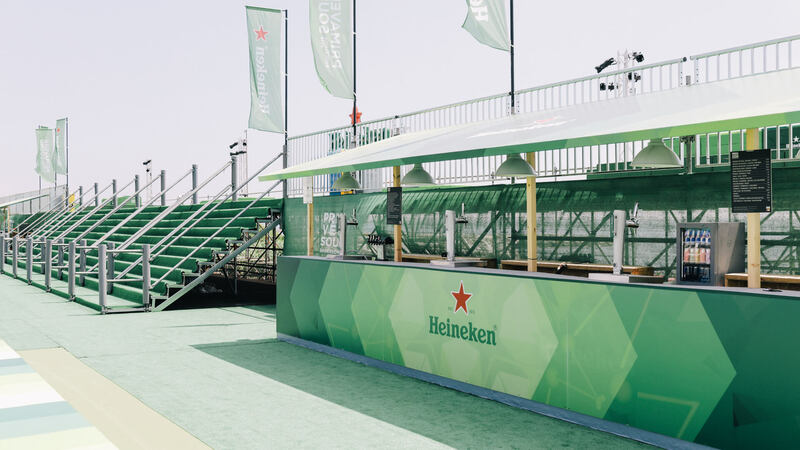 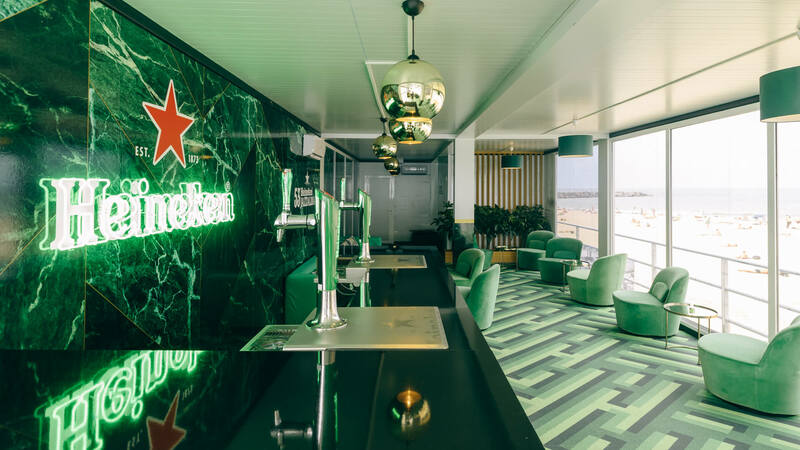 Once again, we travel with Heineken to San Sebastian to set up the VIP area of this acclaimed festival. 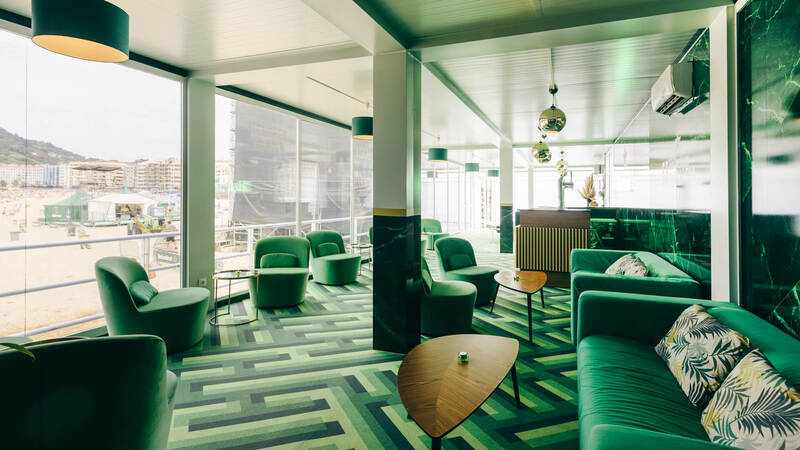 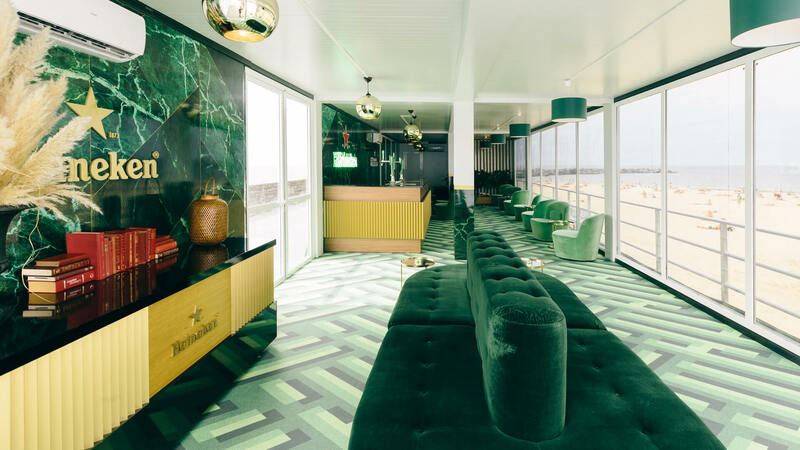 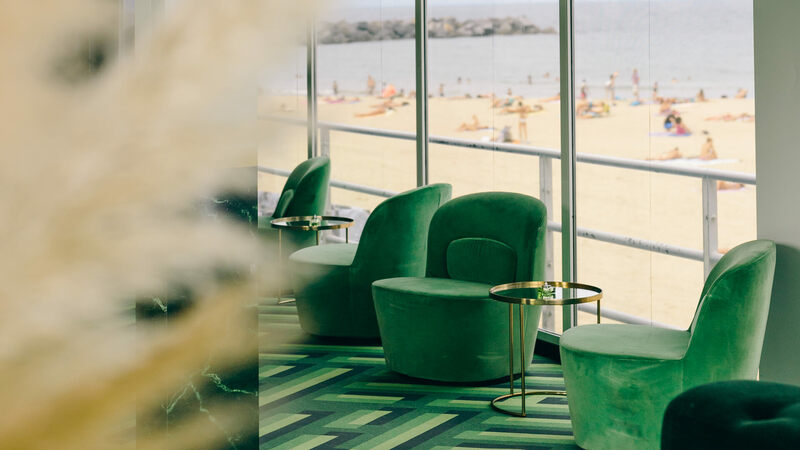 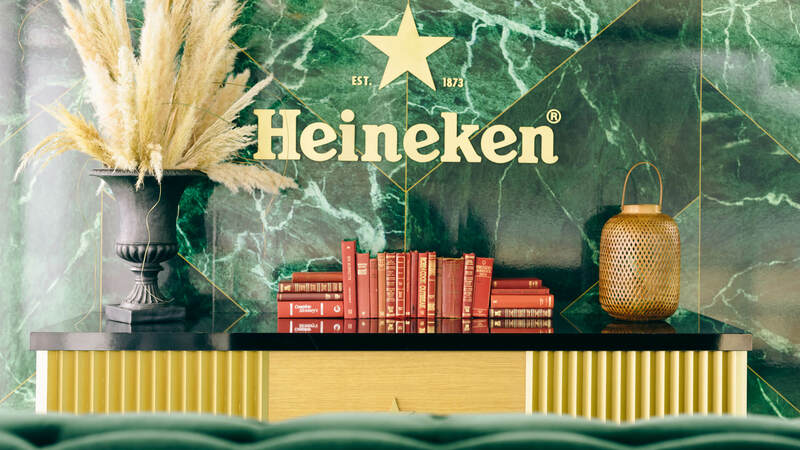 We are in charge of design and production: velvet, marble, golden details… We recreated a lounge inspired by a 70s club, where guests could relax to the sound of the best jazz. 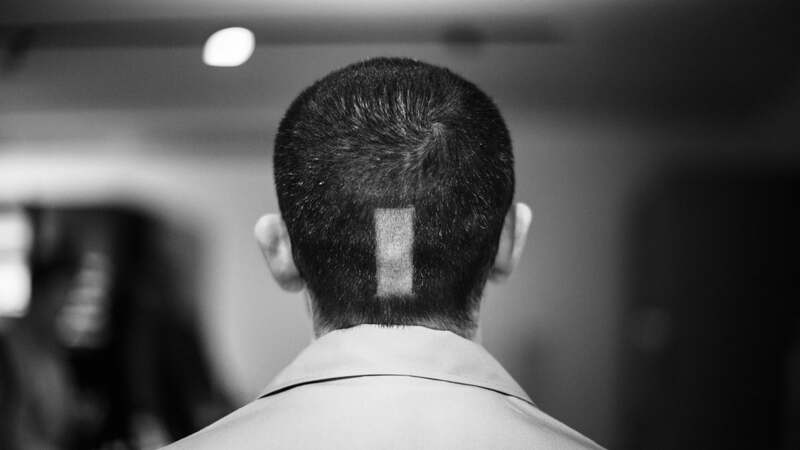 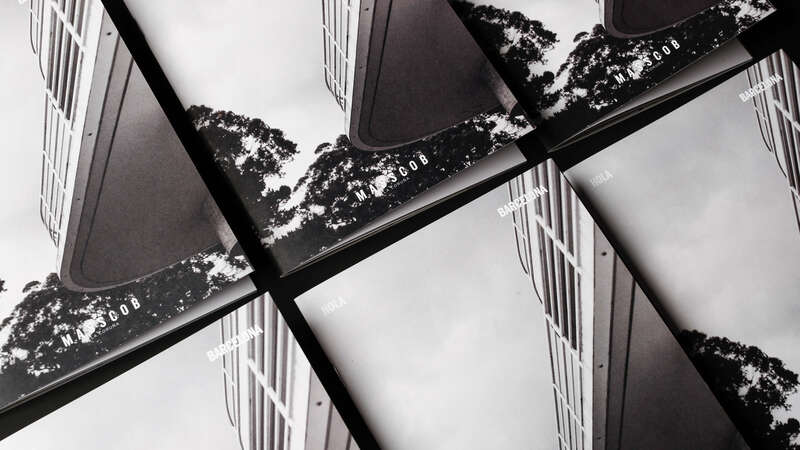 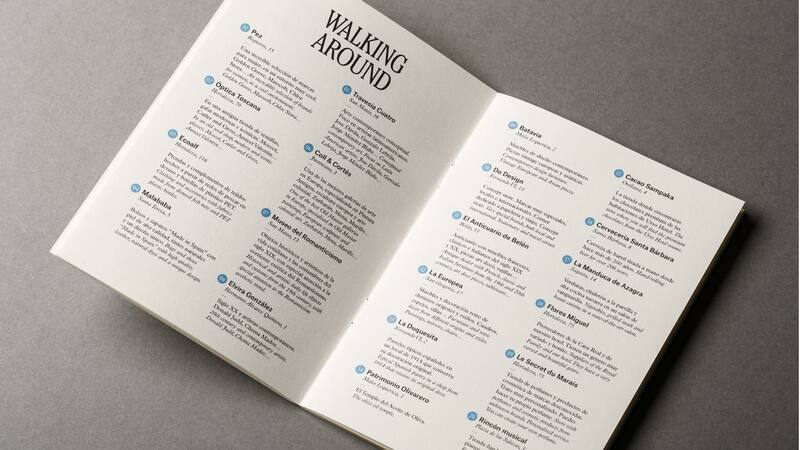 Icon Design is a publication about design, art and architecture. 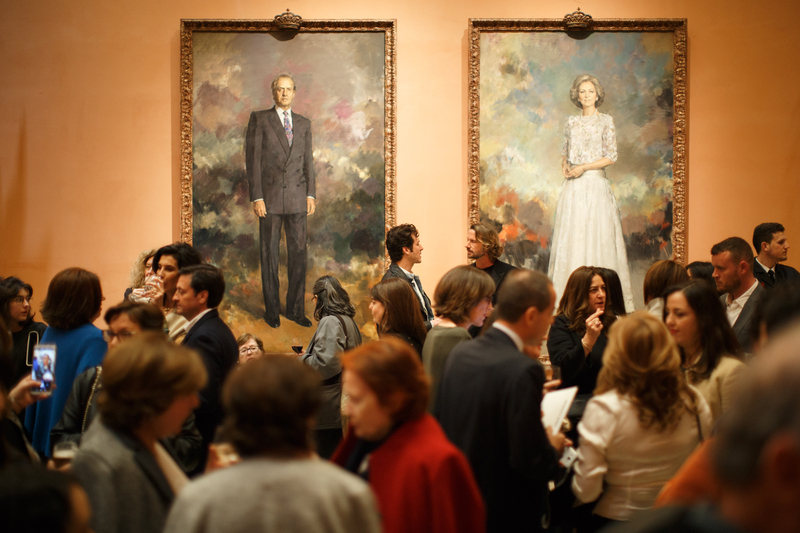 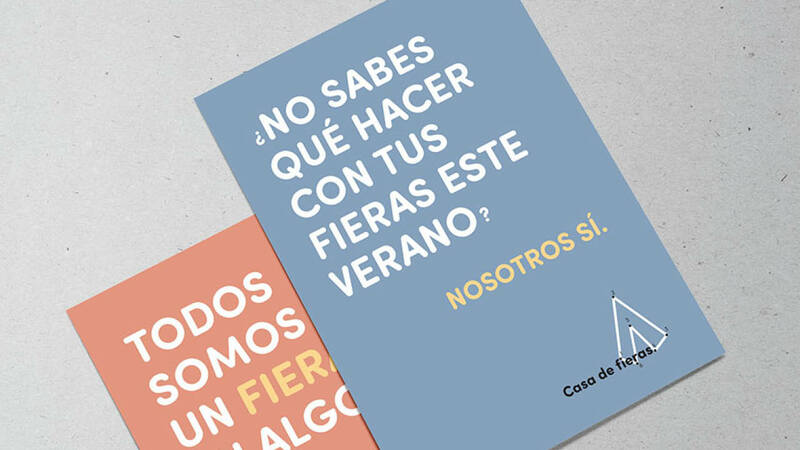 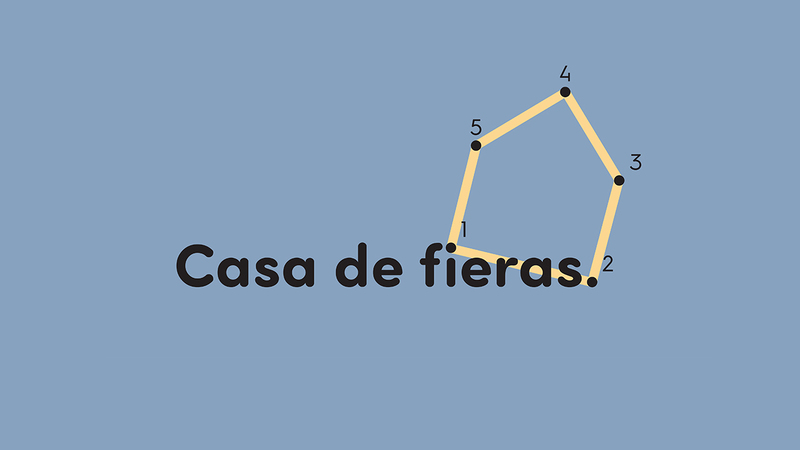 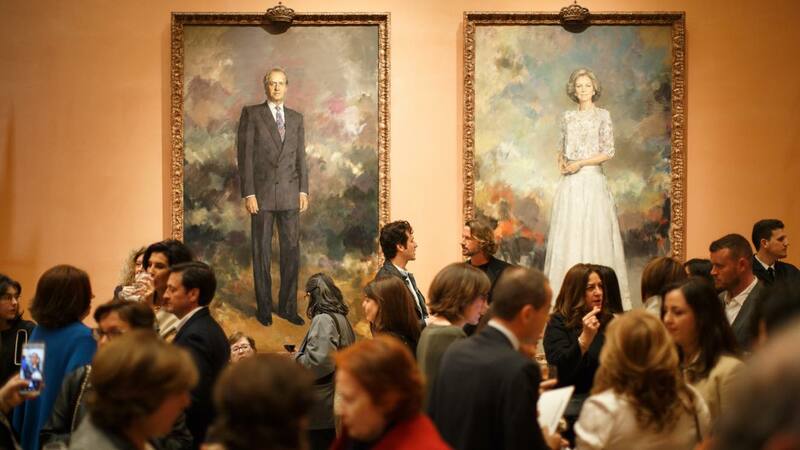 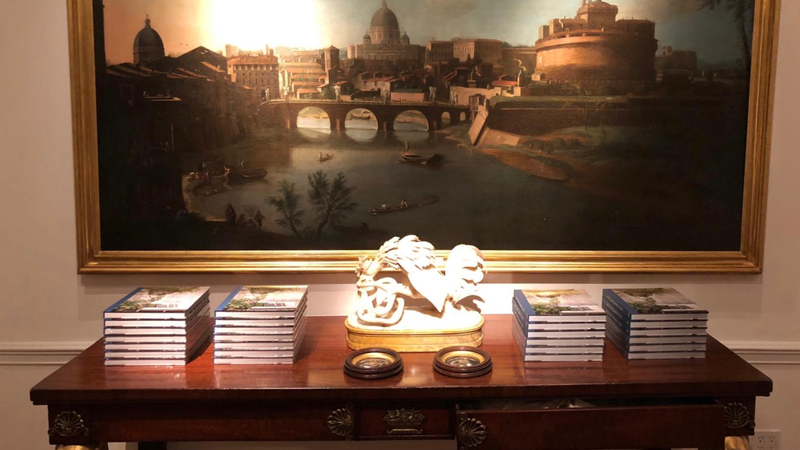 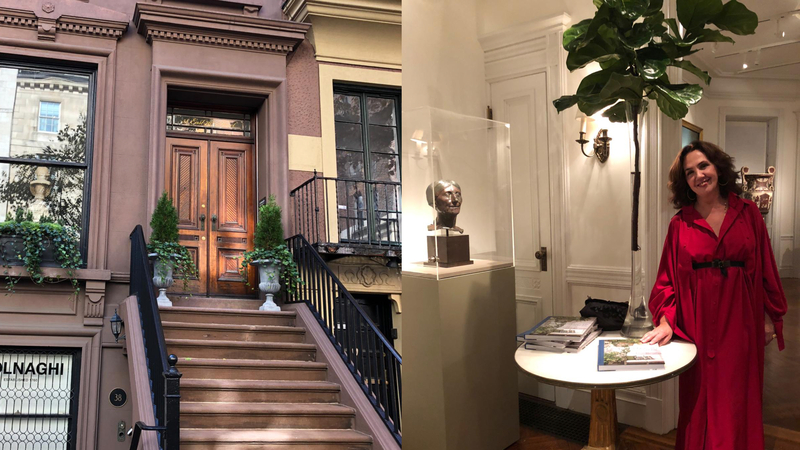 This June, for the second year in a row, they celebrate a great party at Lázaro Galdiano Museum, and we had the pleasure of collaborating in the invitation of it’s guests. 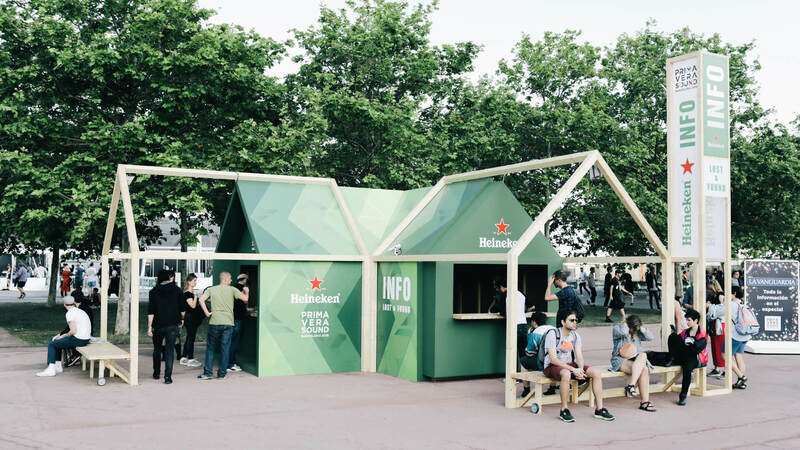 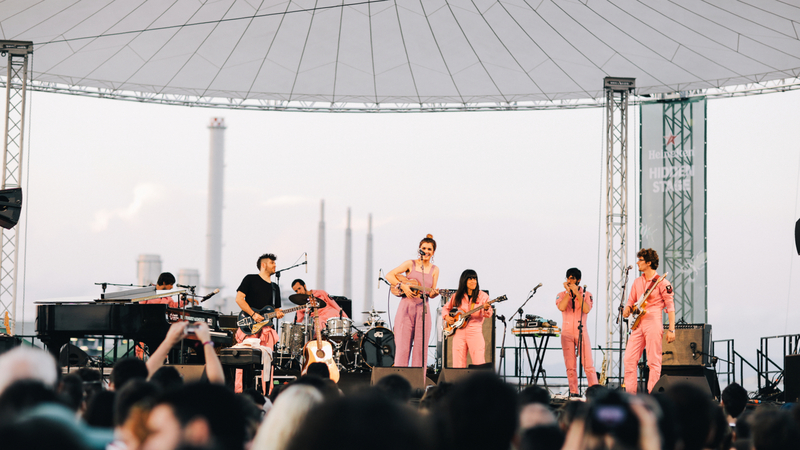 For the fifth anniversary of the Heineken Hidden Stage, which takes place at Primavera Sound, we wanted to make something special. 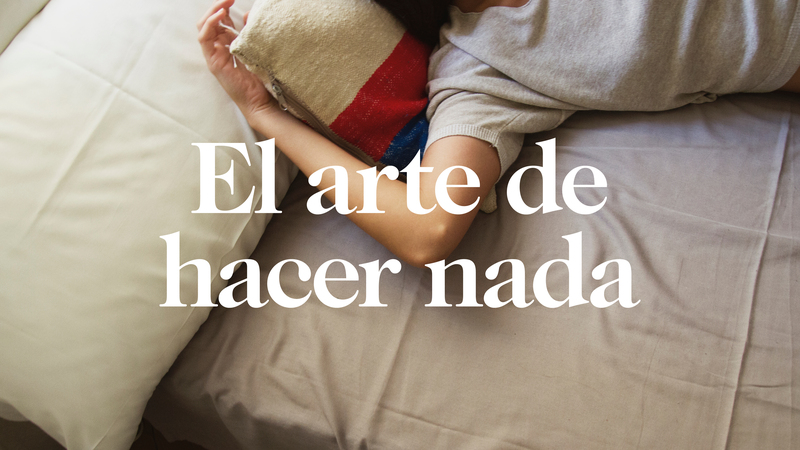 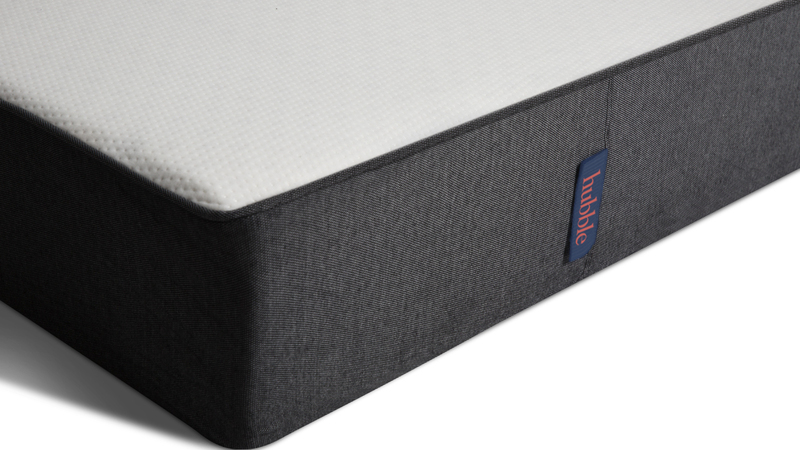 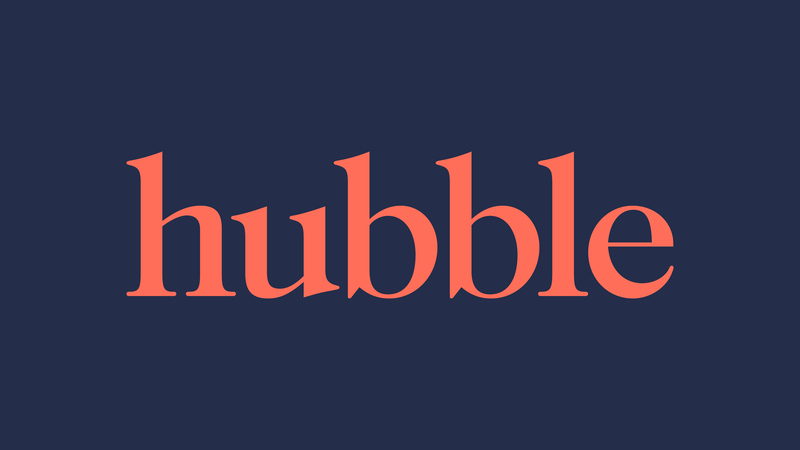 Hubble is a startup that produces mattresses and other bed products in Spain. 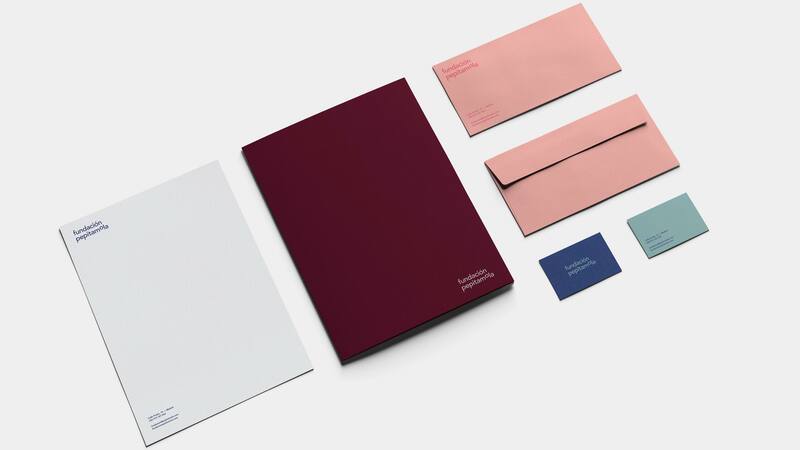 They commissioned us to the design their logo and to define their visual tone, typography and colour palette. 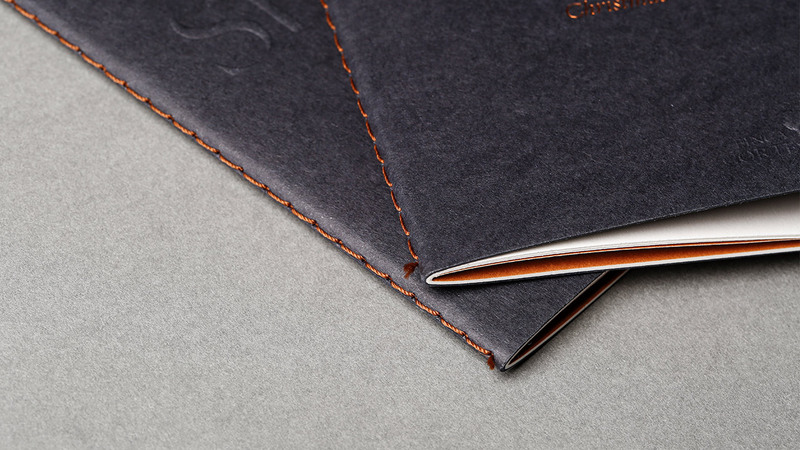 In addition, we designed their packaging. 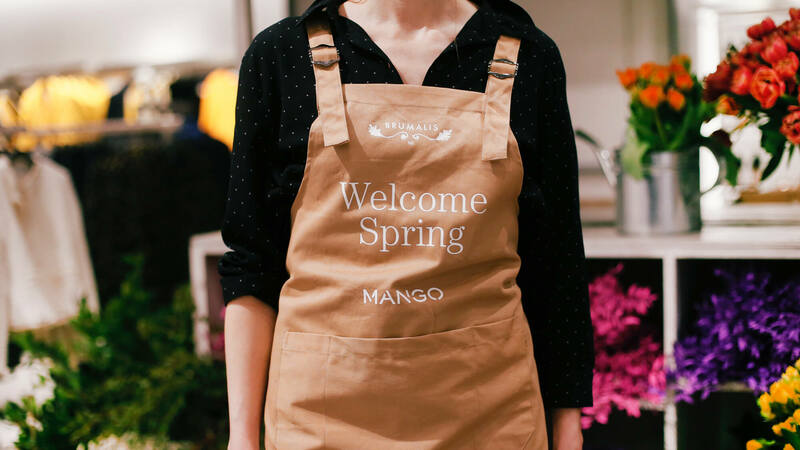 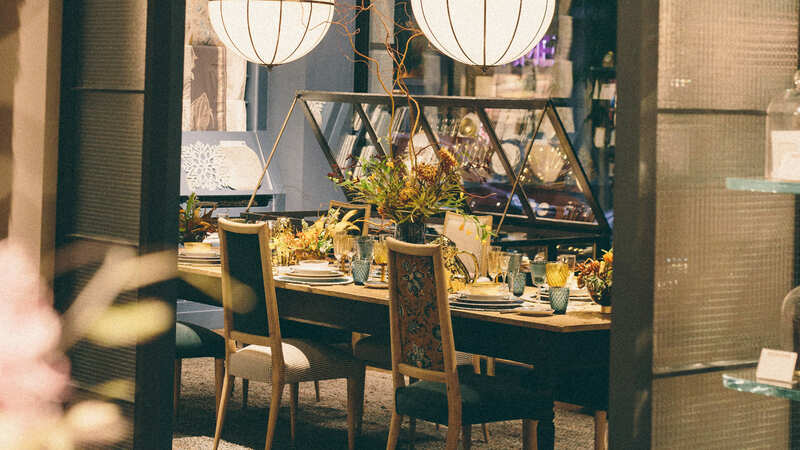 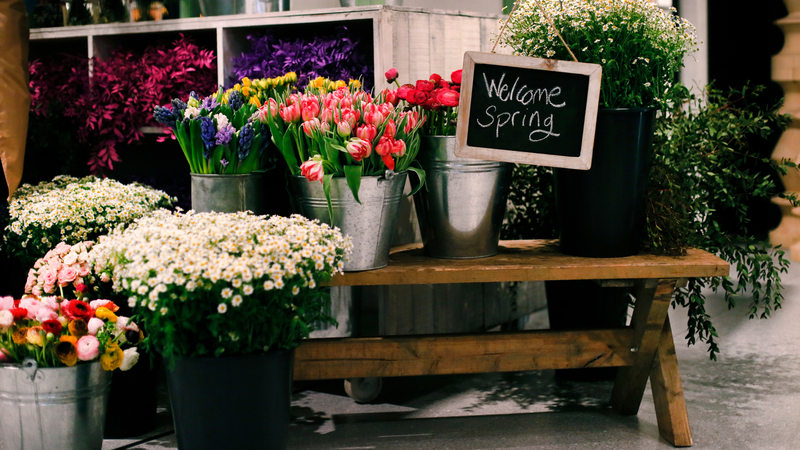 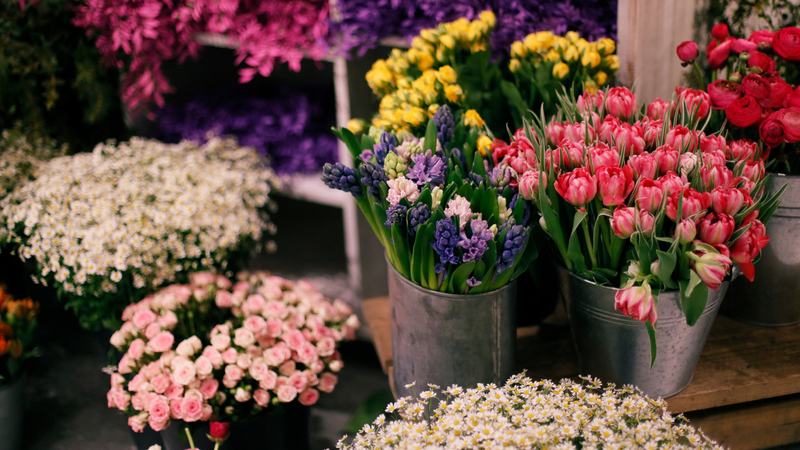 This year, to celebrate the spring arrival and Mother's Day, we organized several flower markets in Mango's most iconic stores: Calle Preciados and Serrano in Madrid, and Portal de l'Àngel in Barcelona. 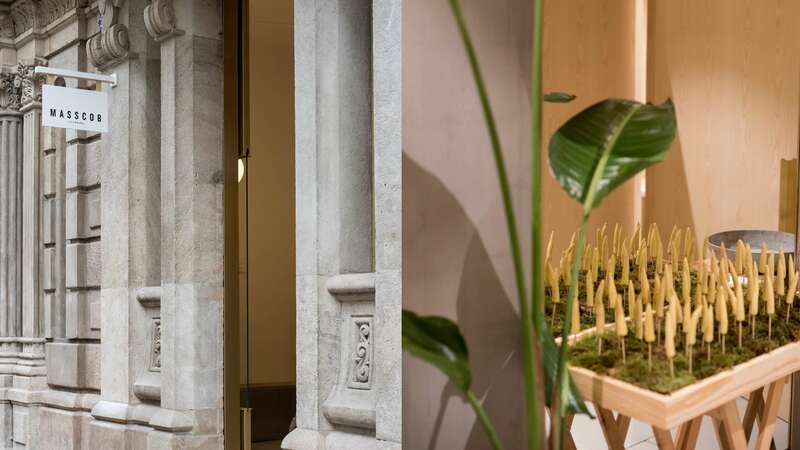 For this project we collaborated with two flower shops: Brumalis in Madrid and Flowers by Bornay in Barcelona. 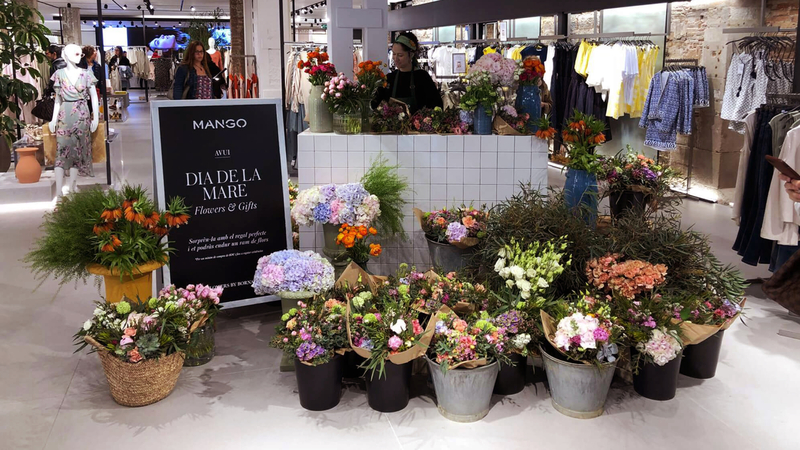 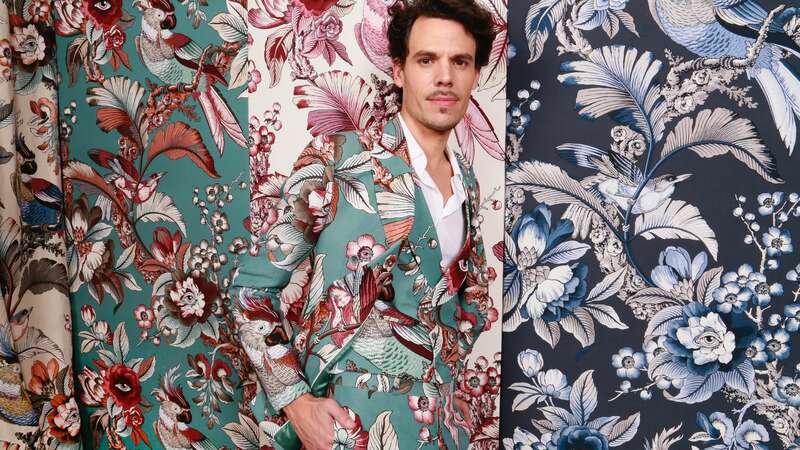 They made more than 700 bouquets that were given to Mango customers. 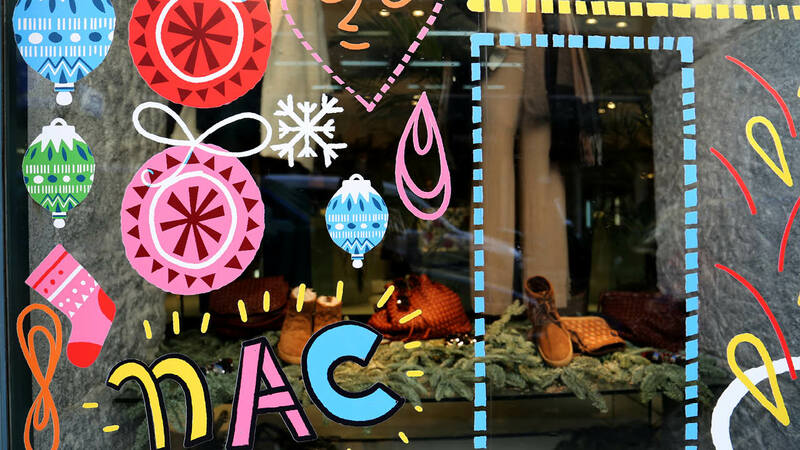 In addition, we designed stands for each store, signage and communication displays. 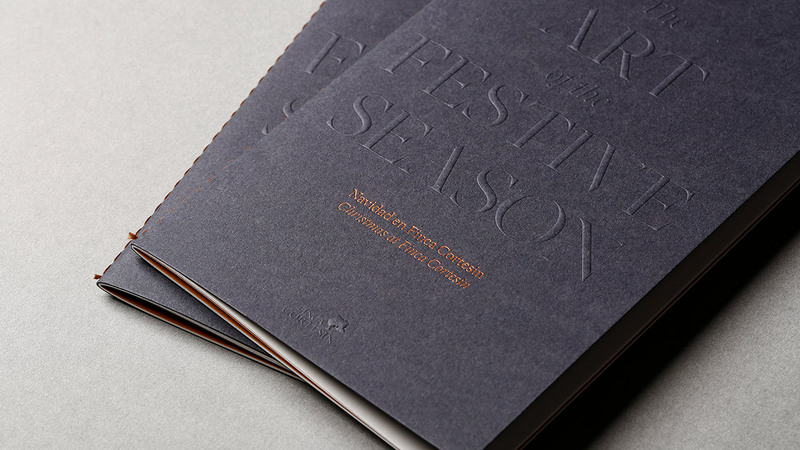 Finca Cortesin, one of the 50 best hotels in the world according to Condé Nast Traveler, has commissioned us once again for its Christmas campaign: The Festive Season. 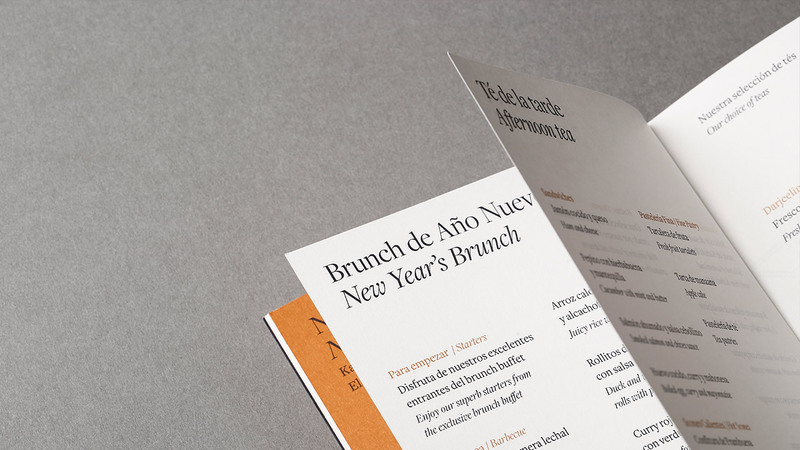 We designed several applications for their hotel in Andalusia. 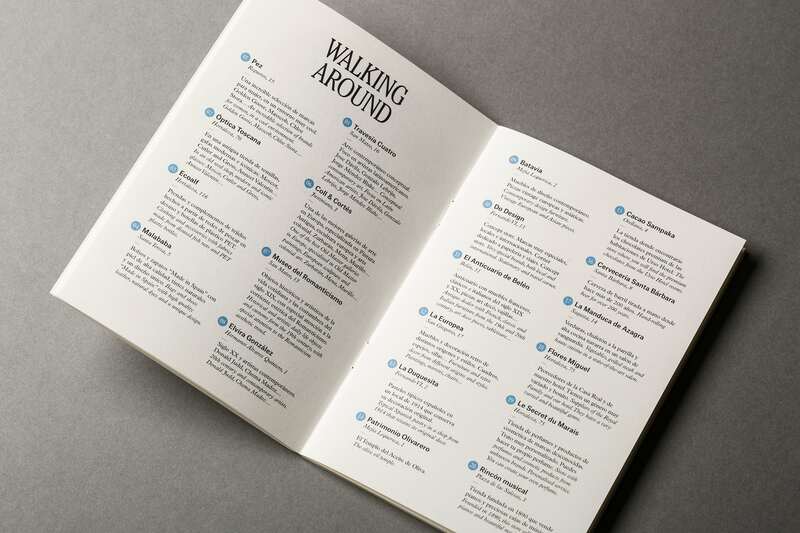 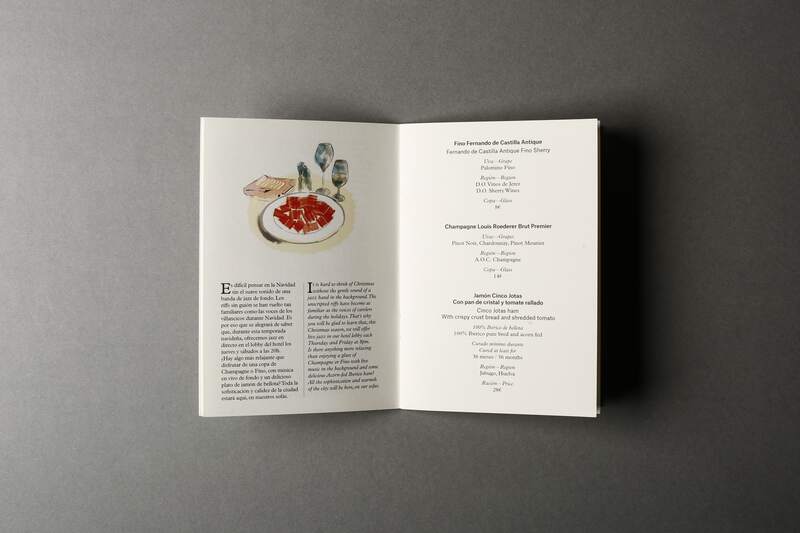 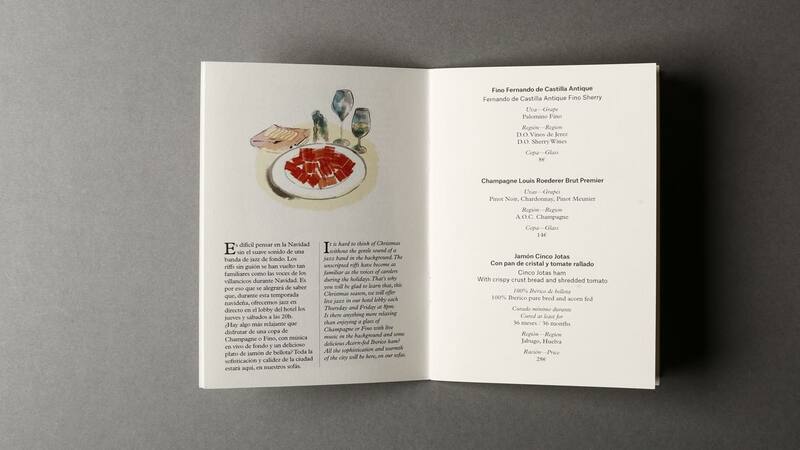 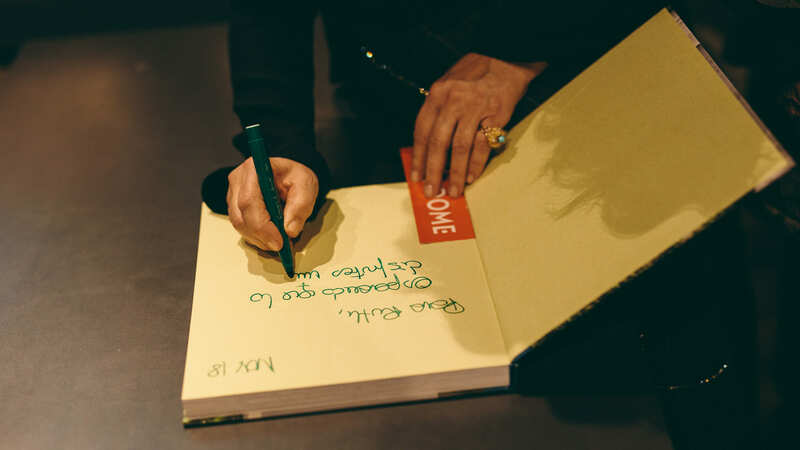 Amongst them, a booklet detailing their Christmas gastronomical experiences, such as those at Kabuki Raw, a Michelin Star Japanese restaurant. 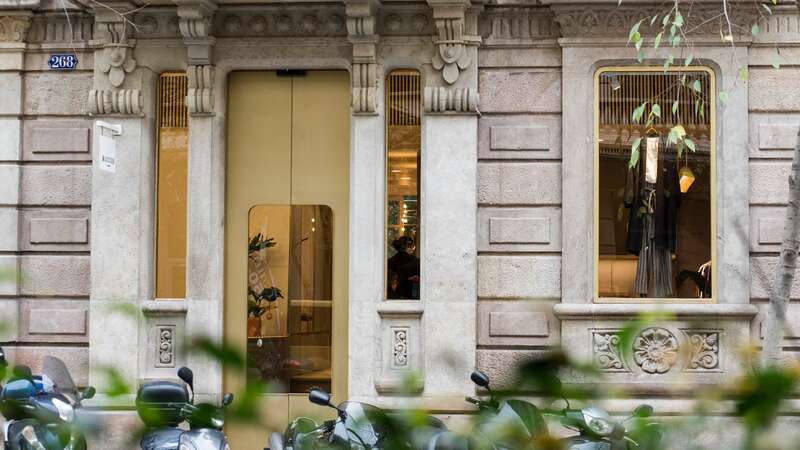 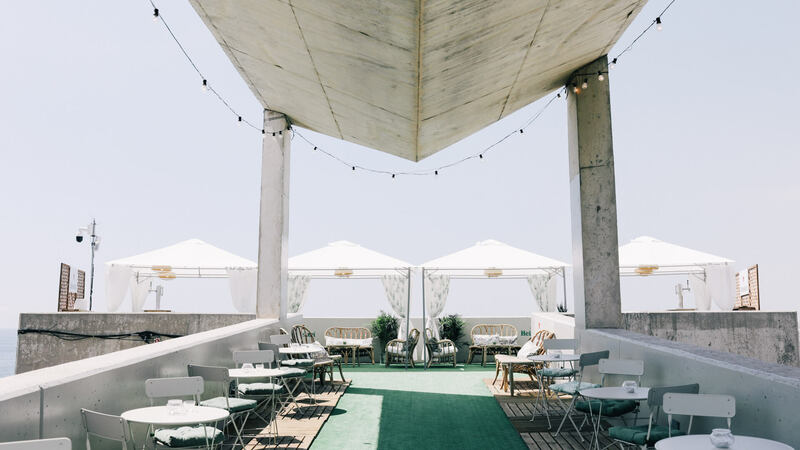 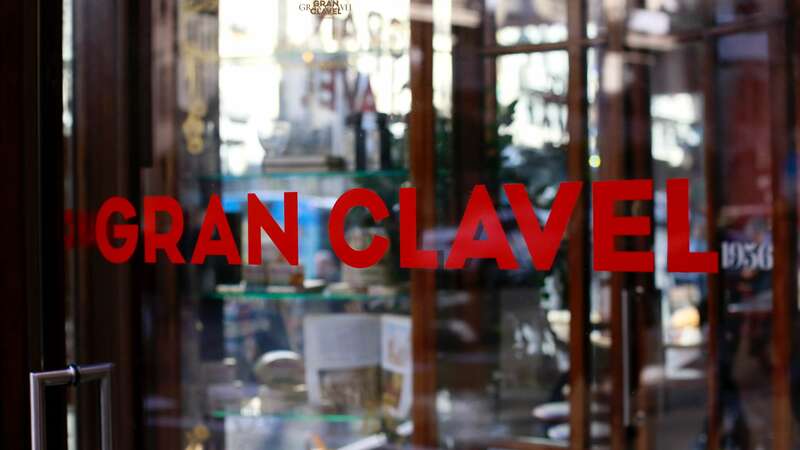 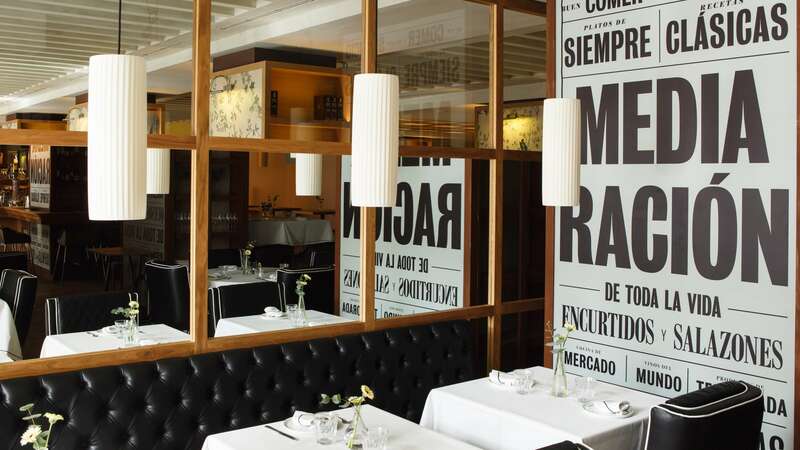 The identity and naming of this space located in one of the most traveled corners of Gran Vía street has to be contemporary and classic at the same time. 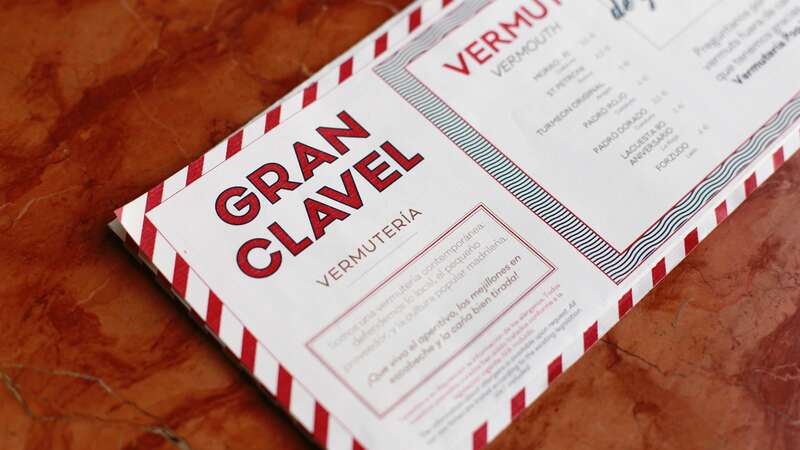 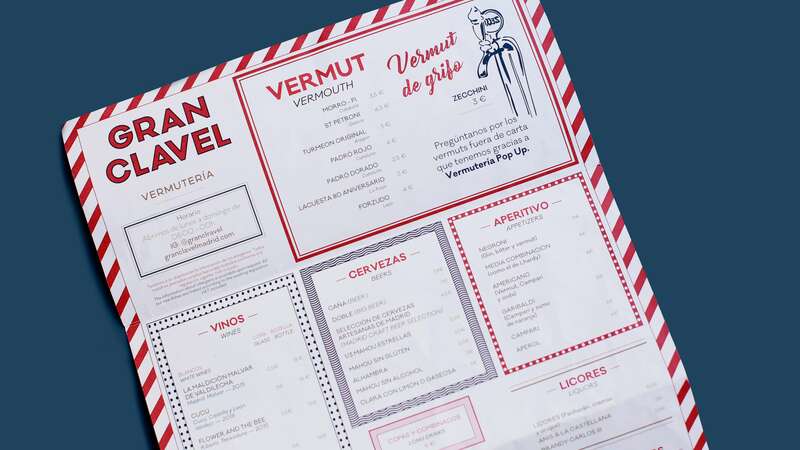 It has to explain its three areas —Vermuteria, Wine bar and Lunch house— and it also has to represent its role as embassy of Madrid gastronomy. 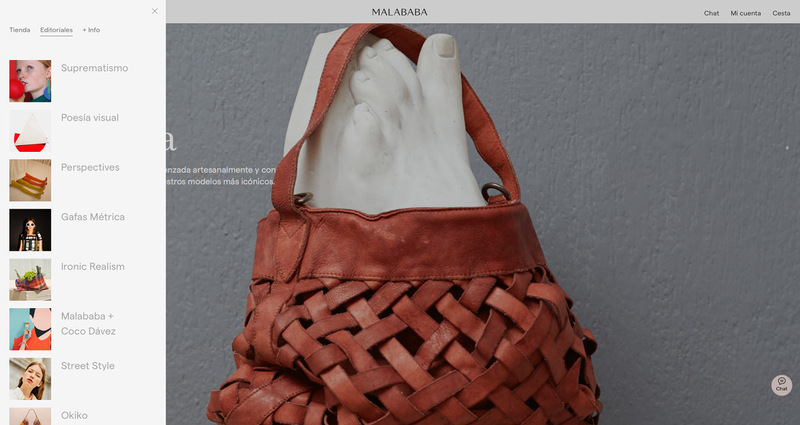 Malababa is a 100% "Made in Spain” brand that designs and produces accessories, jewelery and shoes for women since 2000. 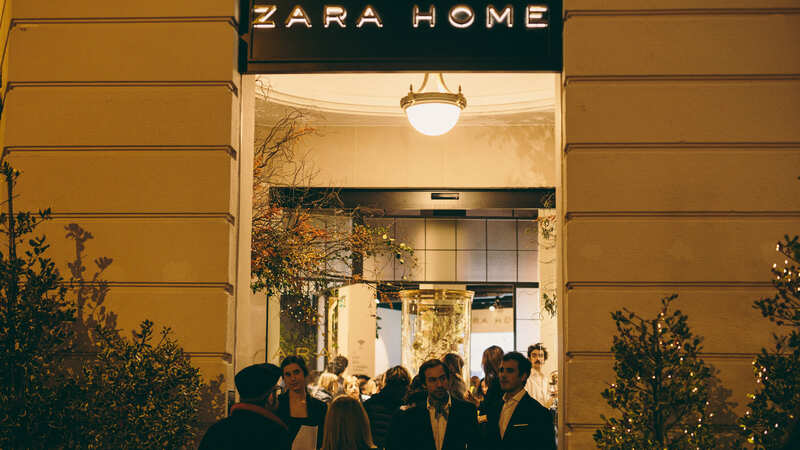 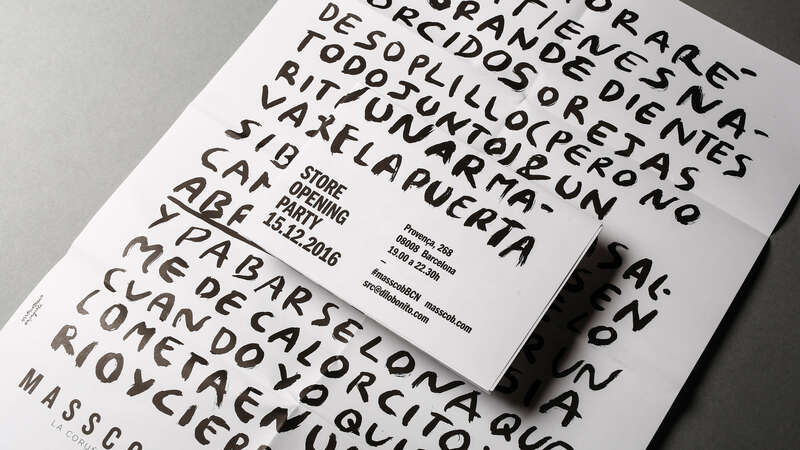 Having 6 stores in Spain, they’ve just begun a new chapter opening a new one in the heart of Madrid’s Barrio Salamanca, on Serrano 8. 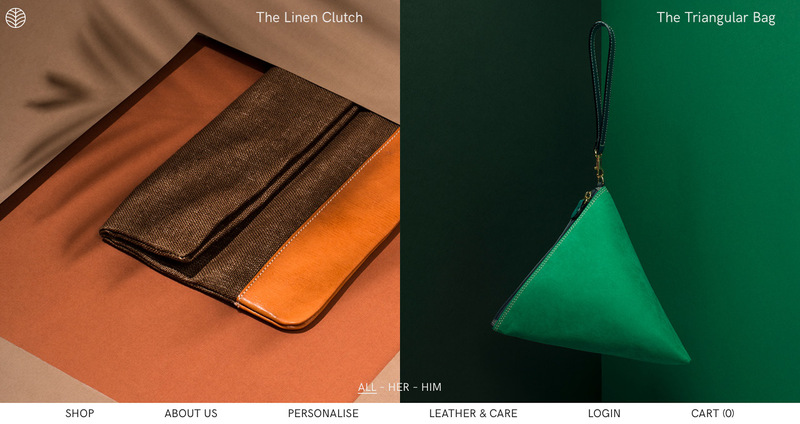 We’ve done their rebranding, website and packaging, and we'll continue working with them to make their campaigns more beautiful, different. 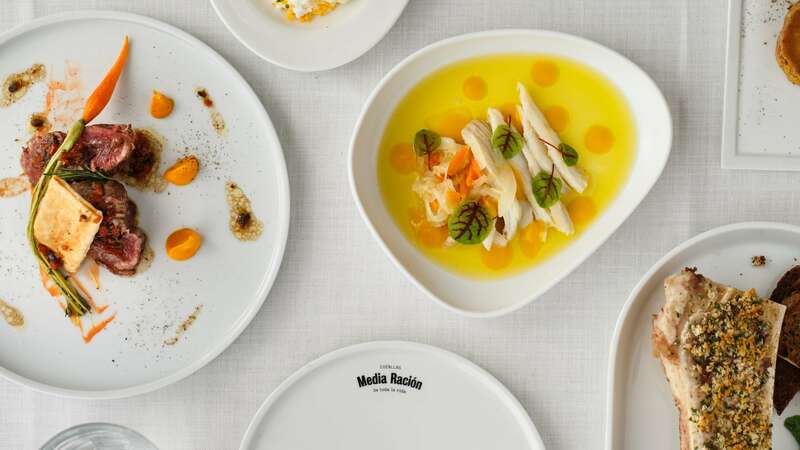 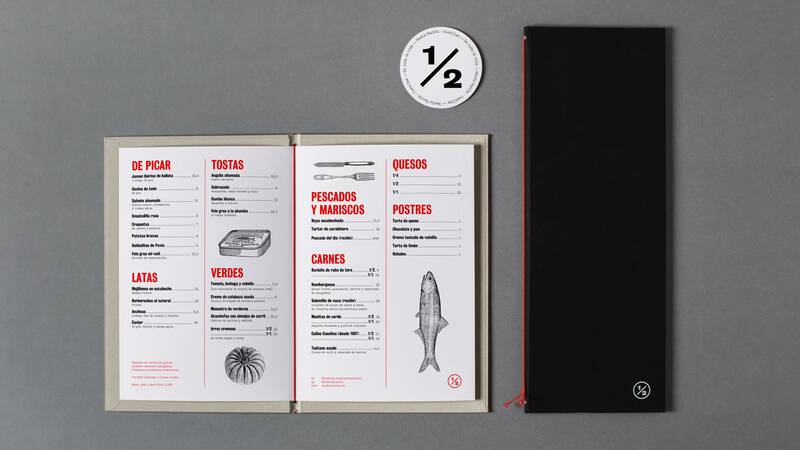 Media Ración x Cuenllas is a “madrileño” restaurant that offers classic flavors in dishes conceived to be shared. 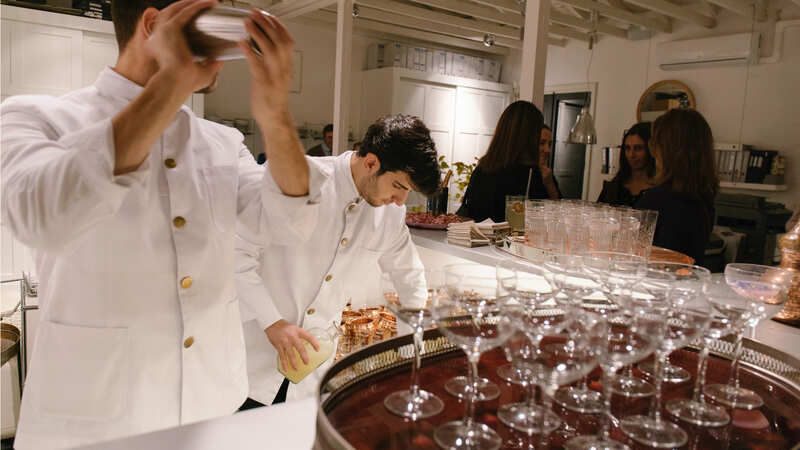 First-class products, market cuisine and lifelong recipes take center stage in this spot. 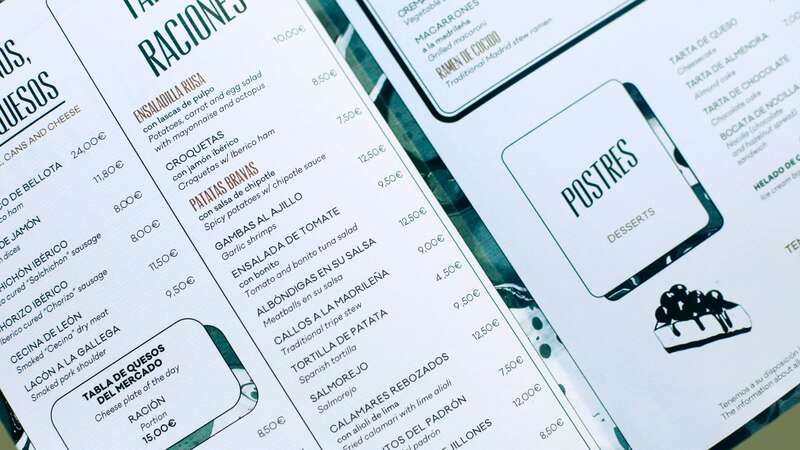 We work on the concept, naming and, among other applications, the website, space graphics, tableware, cards and coasters. 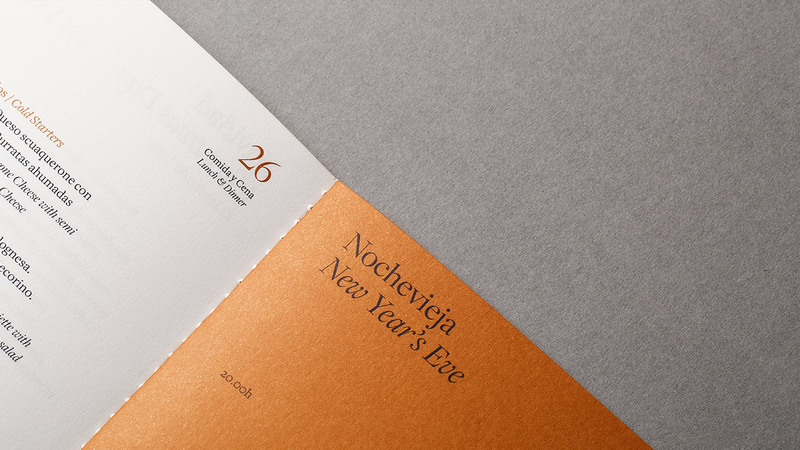 We opted for a visual system based on the revision of traditional typography stamping systems. 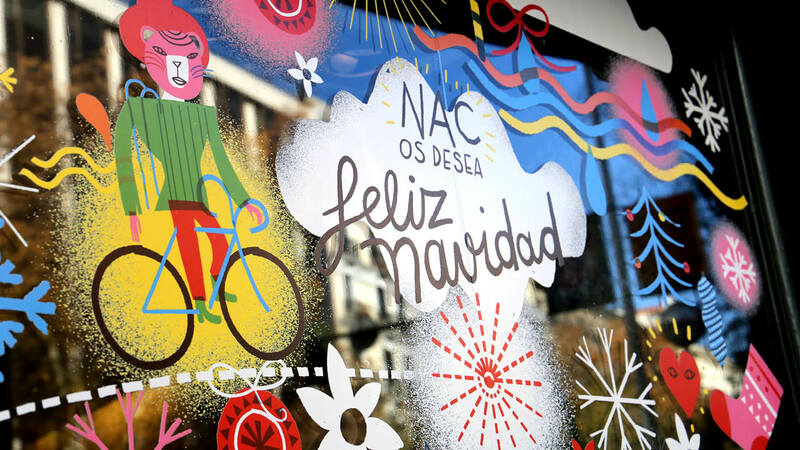 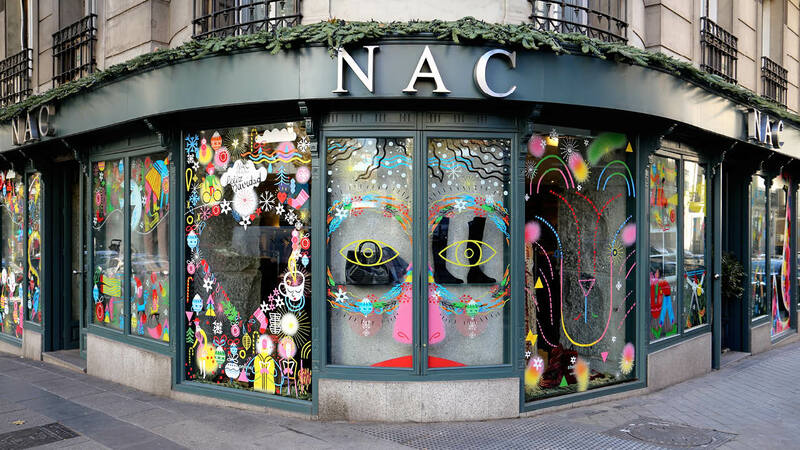 Once again, we've designed the shop-windows of several Nac stores in Madrid: a multi-brand women's store in the streets of Genova and Hermosilla. 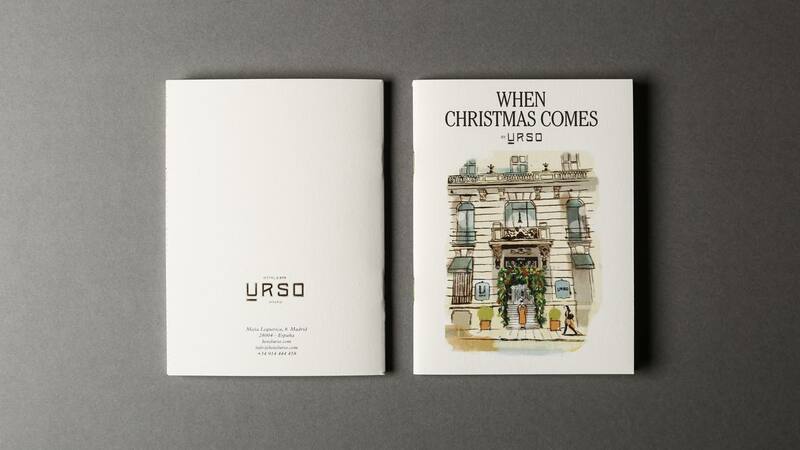 A Christmas tale, made by the illustrator Pedro Perles, in which the products inside the store are discovered within the artist's illustrations. 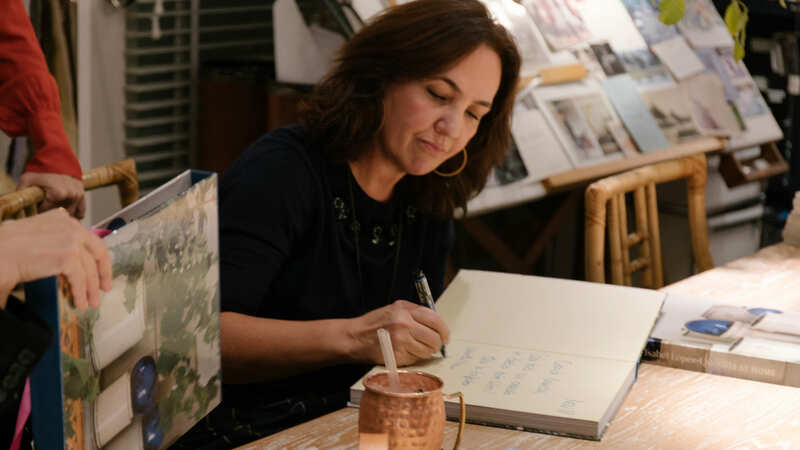 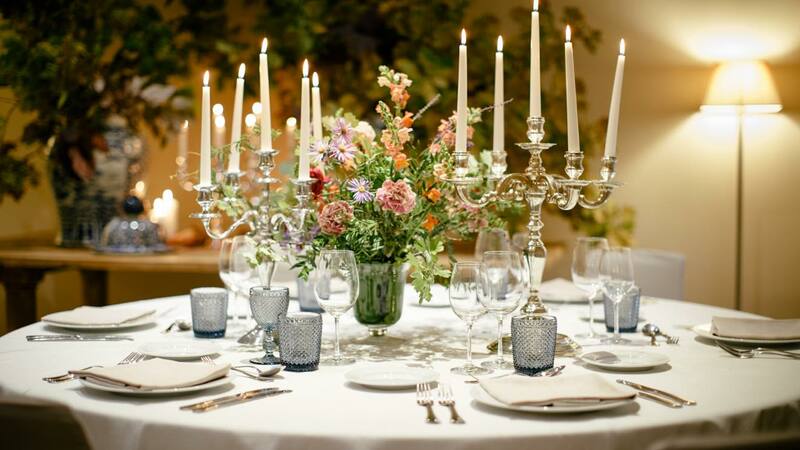 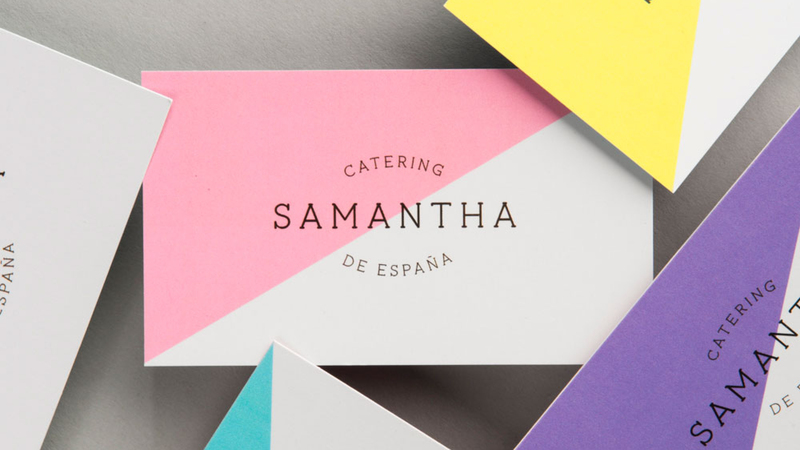 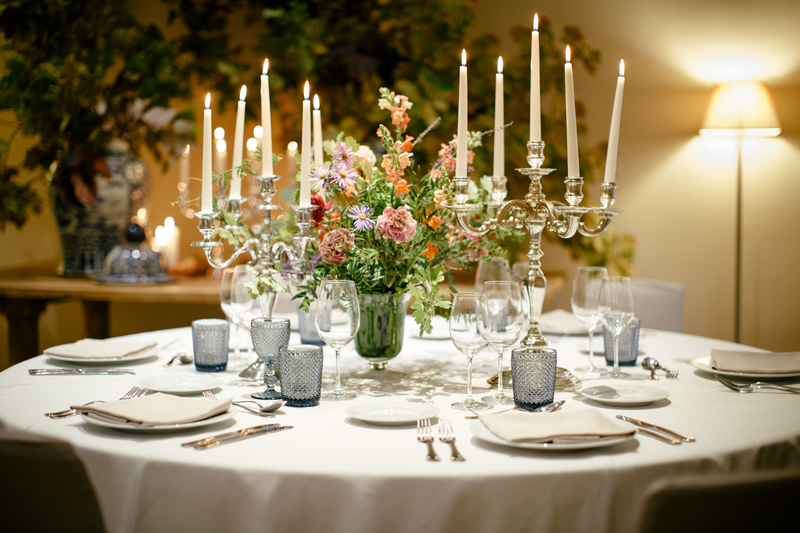 Samantha de España is the personal brand of the Spanish chef Samantha Vallejo-Nájera, specialised in premium catering services. 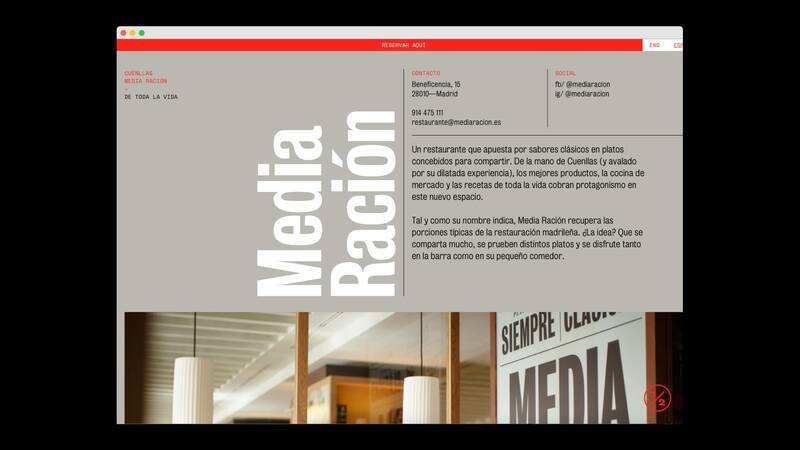 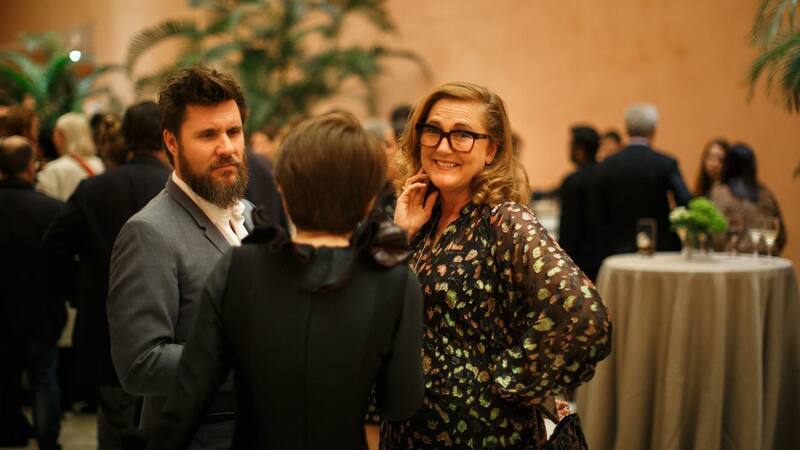 On the side, she is a member of the jury of one of the most successful TV programs in Spain, Masterchef. 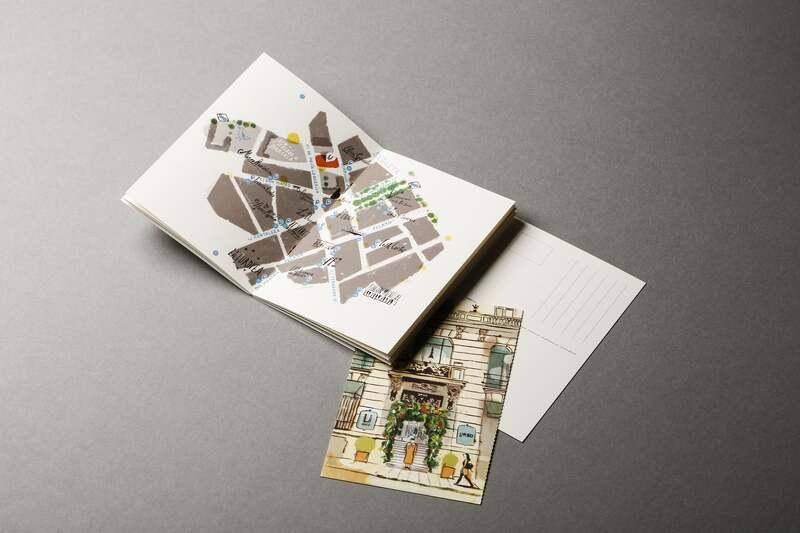 We developed their branding and applications, along with their web pictures. 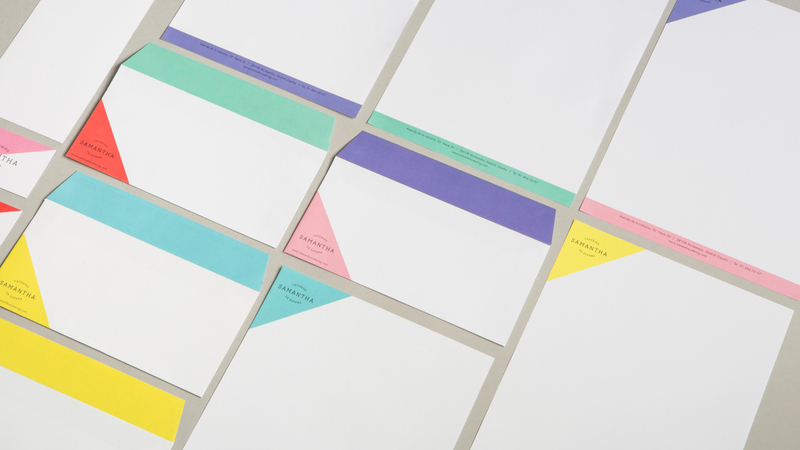 We played with vivid and bright colours and combined them in funky ways. 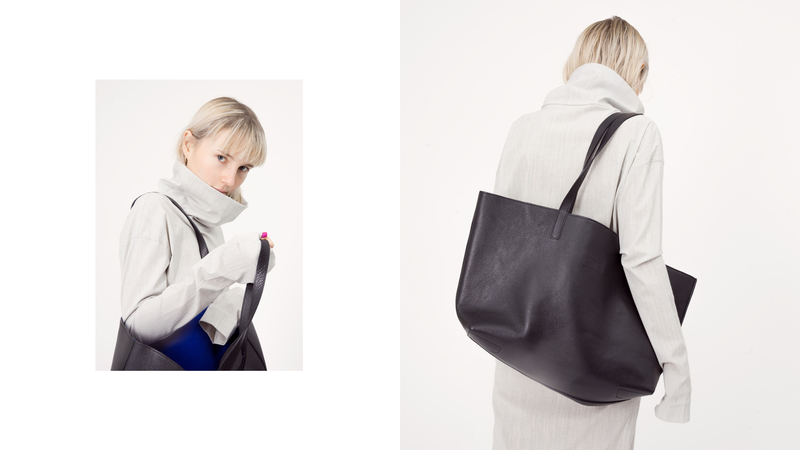 We synthesised their playful and exquisite essence. 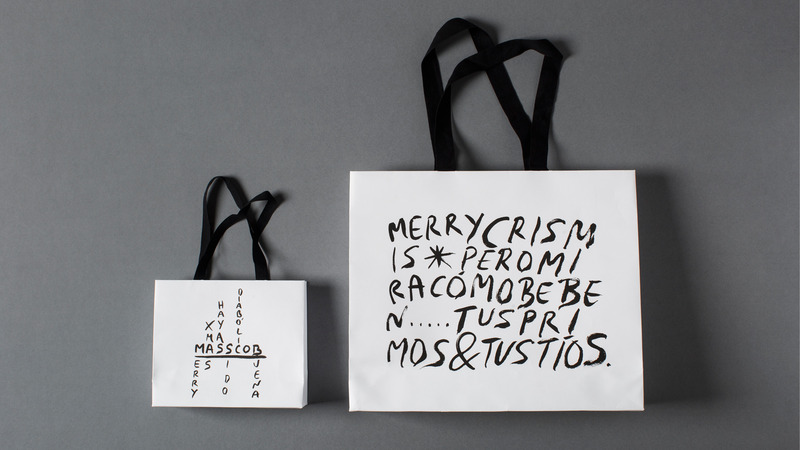 Masscob is a spanish brand from Coruña born in the 2000s. 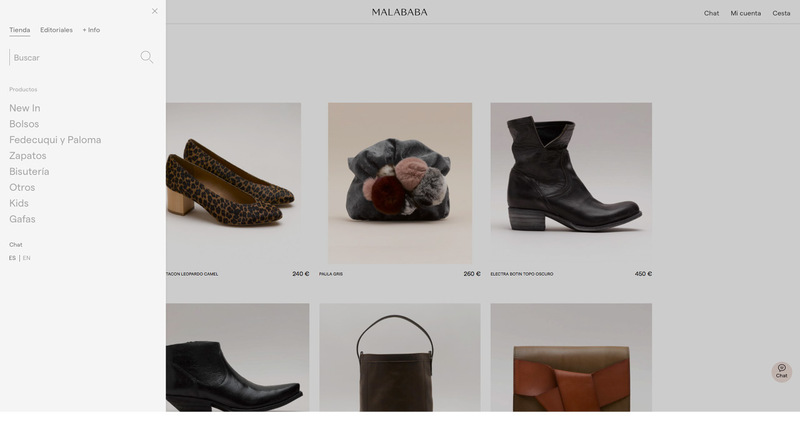 Their collections are distributed by multibrand stores and their own ones. 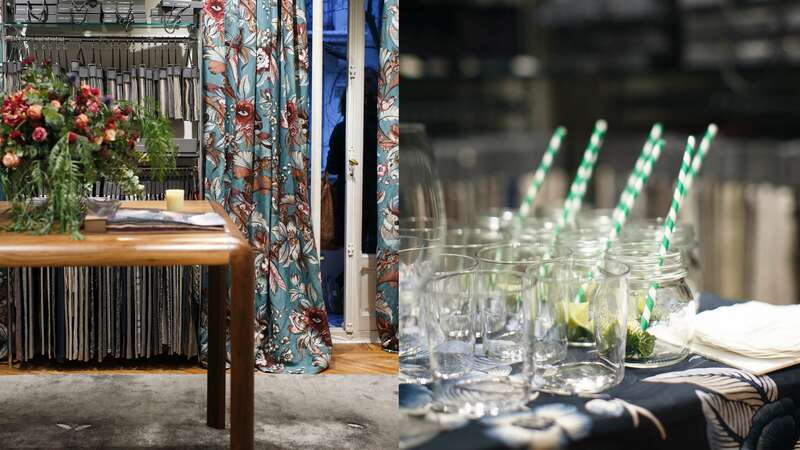 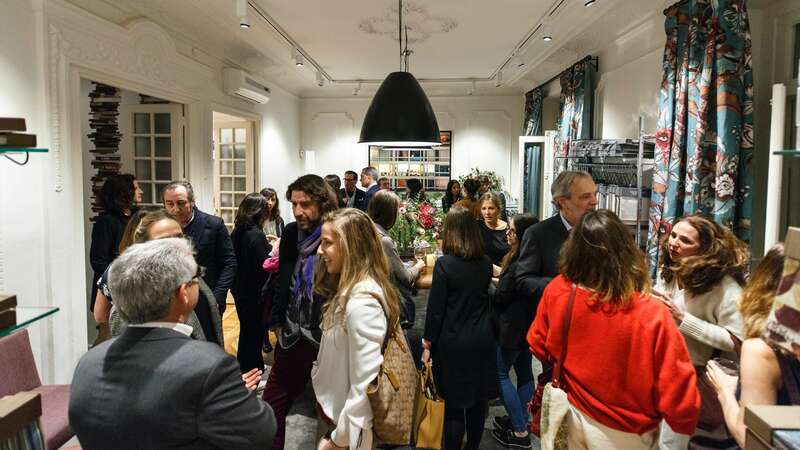 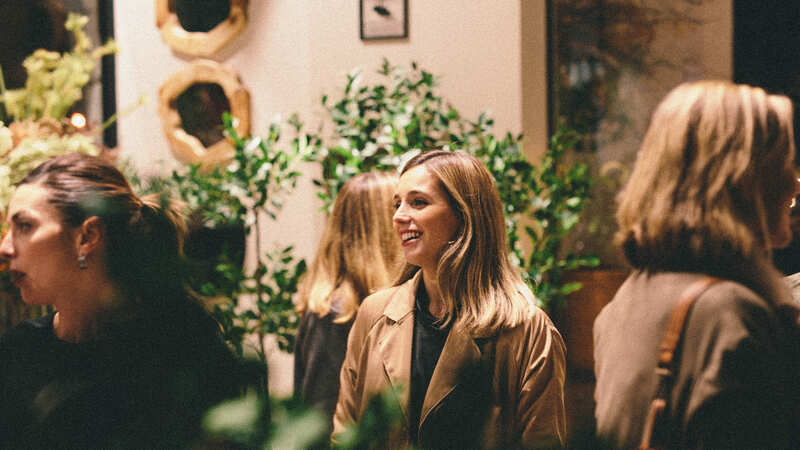 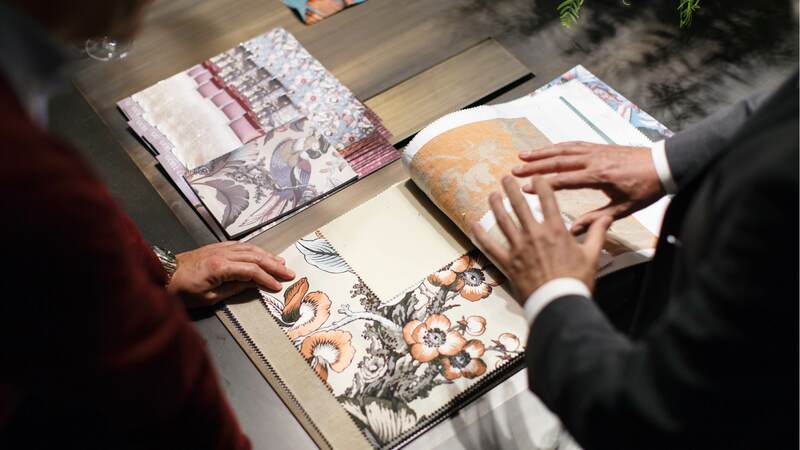 We took charge of the inauguration of its new store in Barcelona, with two different events: a breakfast for press and influencers, and a party for clients and friends at night. 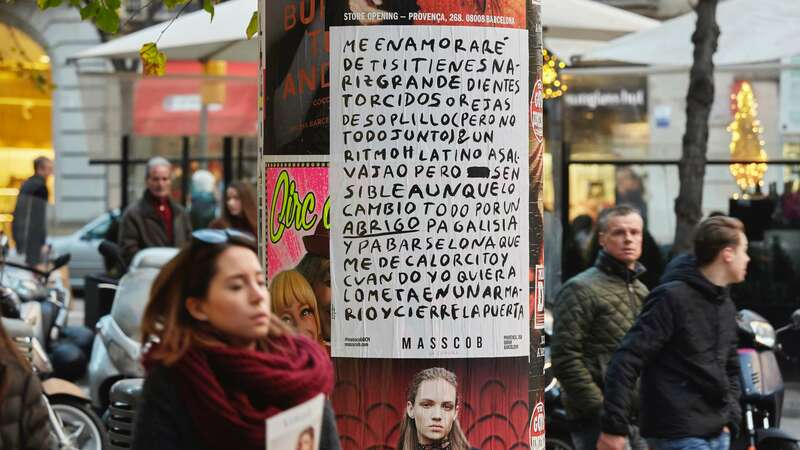 The whole city was full of Anastasia Bengoechea's posters (@monstruo_espagueti), an illustrator who also leaded the music for the party. 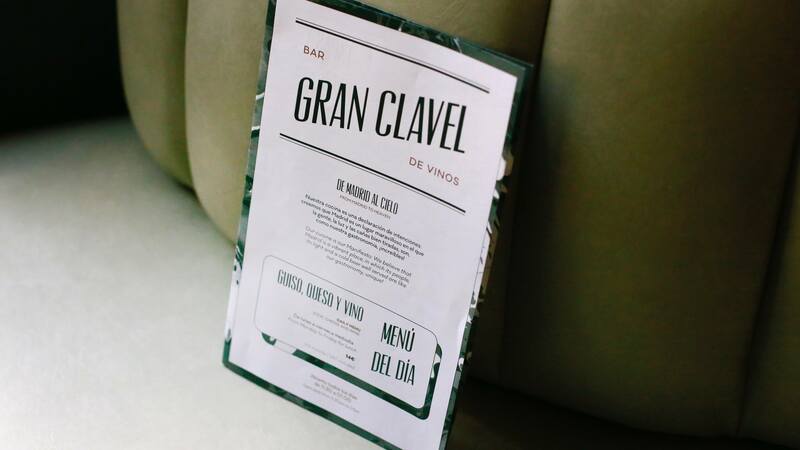 For the gastronomic offer we wanted something different and special, so we trusted in Pepi de Boissieu and Estanislao Carenzo. 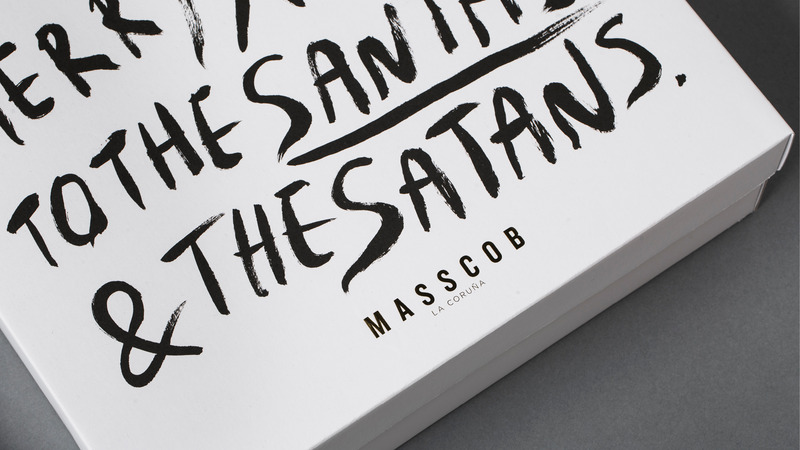 Masscob is a fashion brand created in 2003 in La Coruña, Spain. 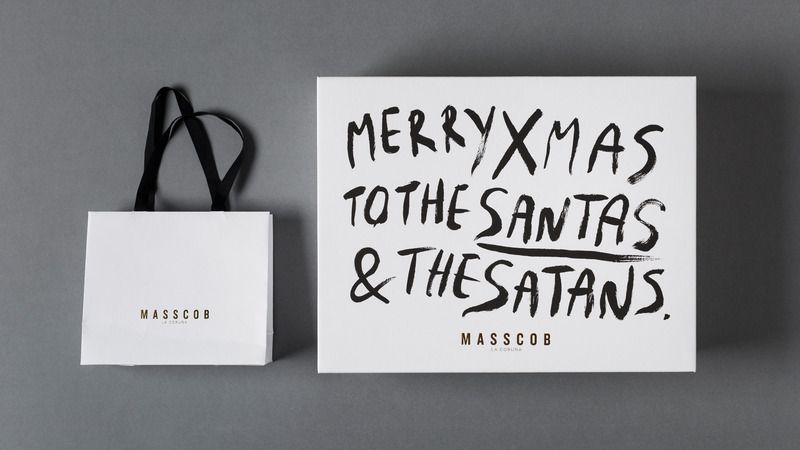 It's collections are born spontaneously and instinctively, therefore, for the design of their Christmas packaging, we decided to collaborate with the Spanish illustrator Monstruo Espagueti. 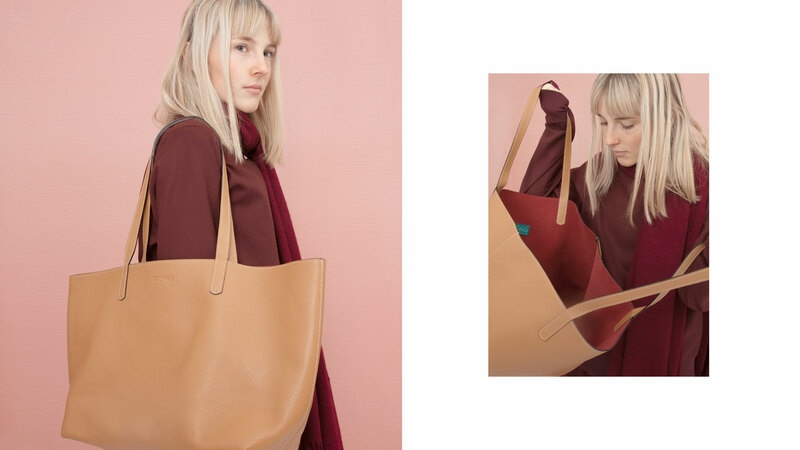 She reflected these brand values in her spontaneous and direct brush strokes on the surface of bags and boxes. 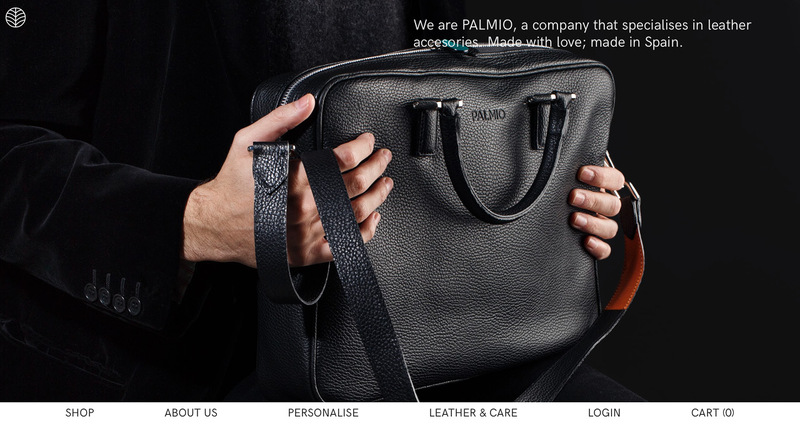 After having designed their new logo earlier this year, we’ve designed Palmio’s new online store, a Spanish brand specializing in Spanish leather accessories made 100% in Spain. 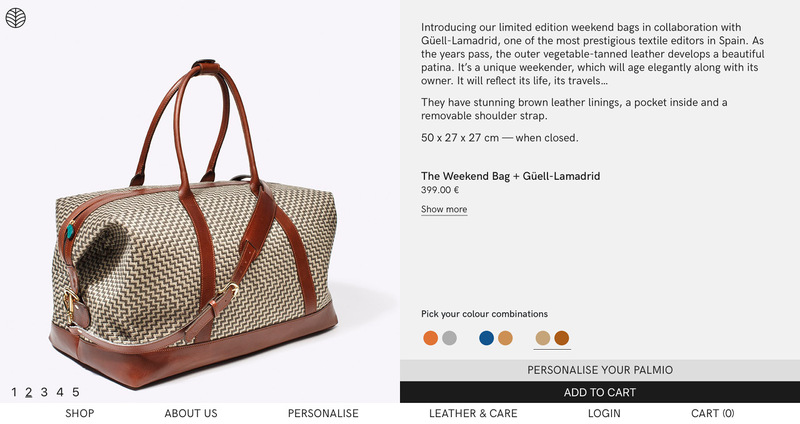 In it you can select the color combination of each product, and customize them with initials or names, making them unique and personal. 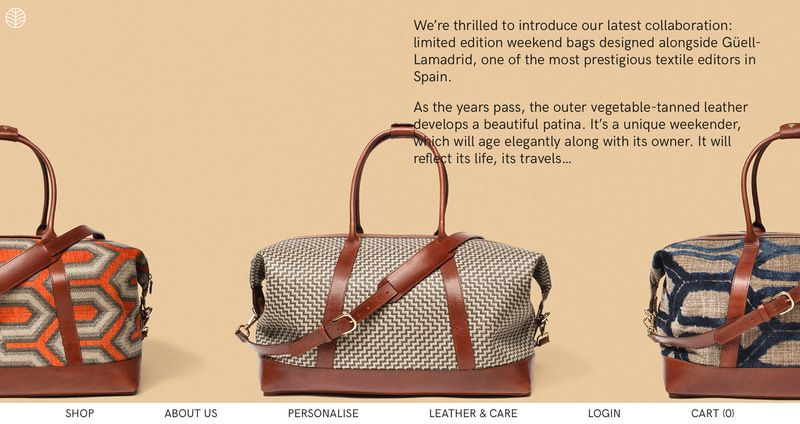 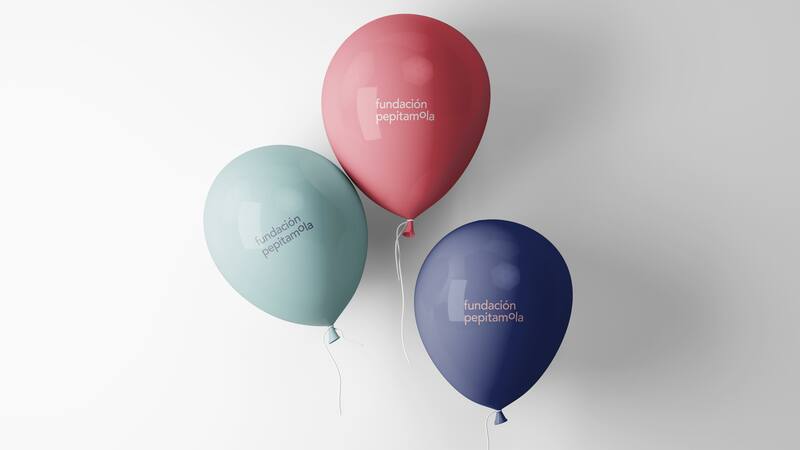 At the same time as the launch of their website, the brand launched weekend bags in collaboration with Güell-Lamadrid, one of the most prestigious textile publishers in Spain, also client of ours. 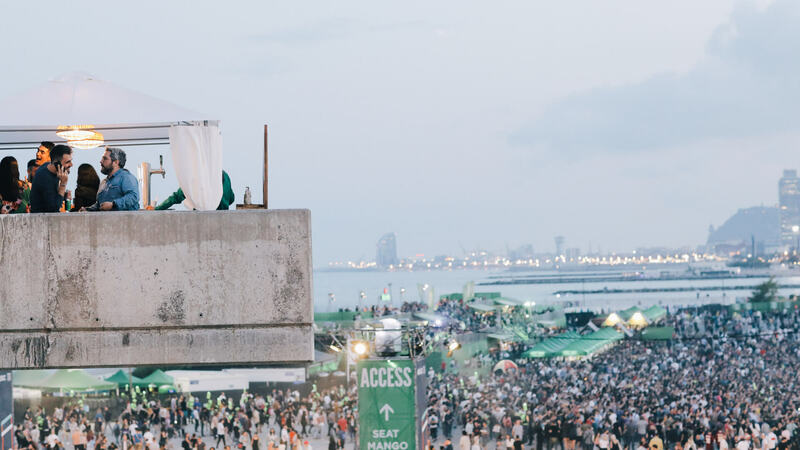 This is a unique place, where children are in their perfect space, doing what they like most: playing. 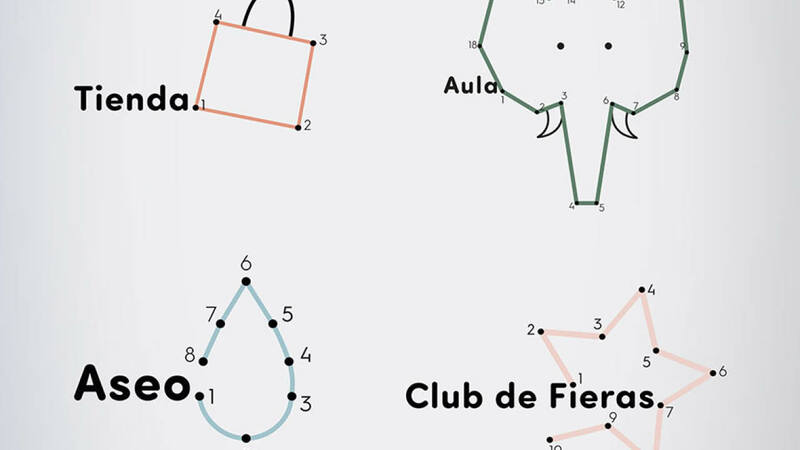 The challenge was to find a name that they would also like, that they would like to look at and read, a graphic game. 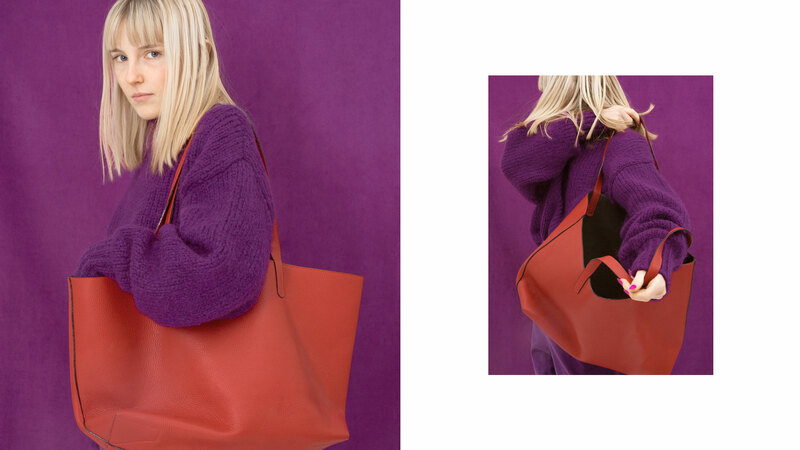 And a soft and dynamic color palette. 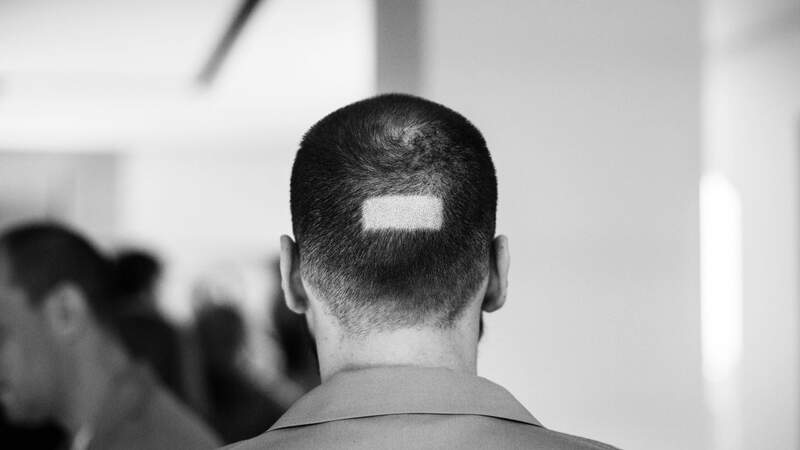 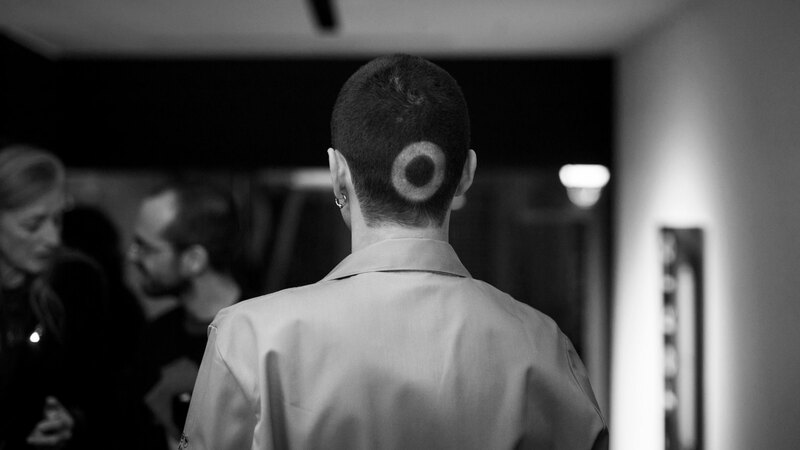 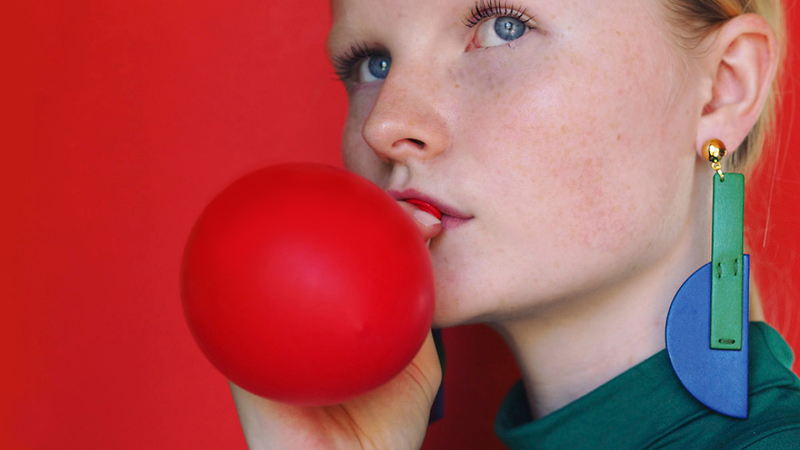 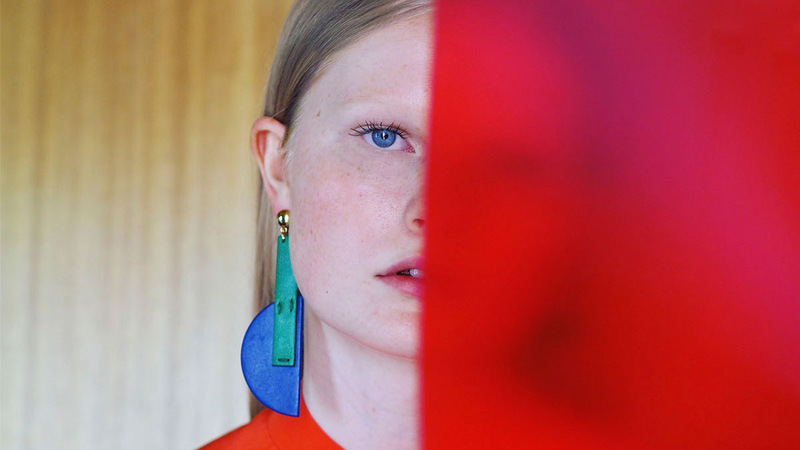 Suprematism, Malababa's new editorial, is inspired by color and geometry. 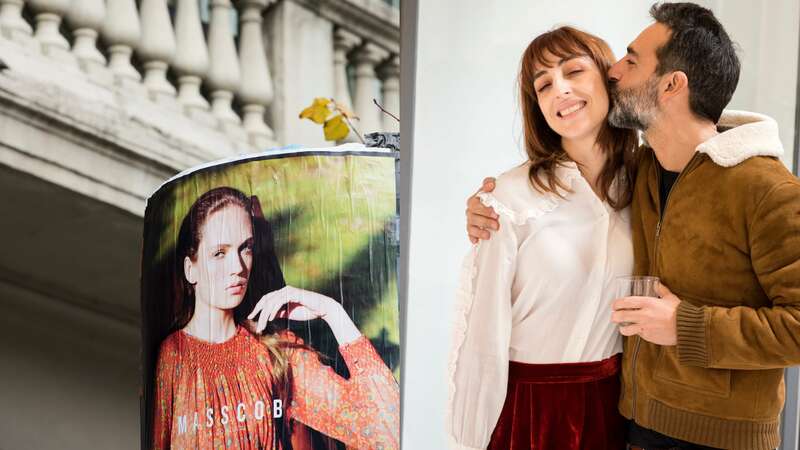 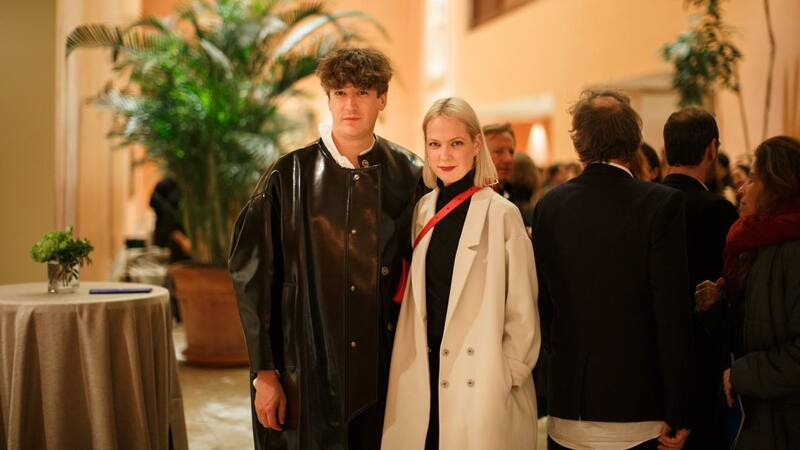 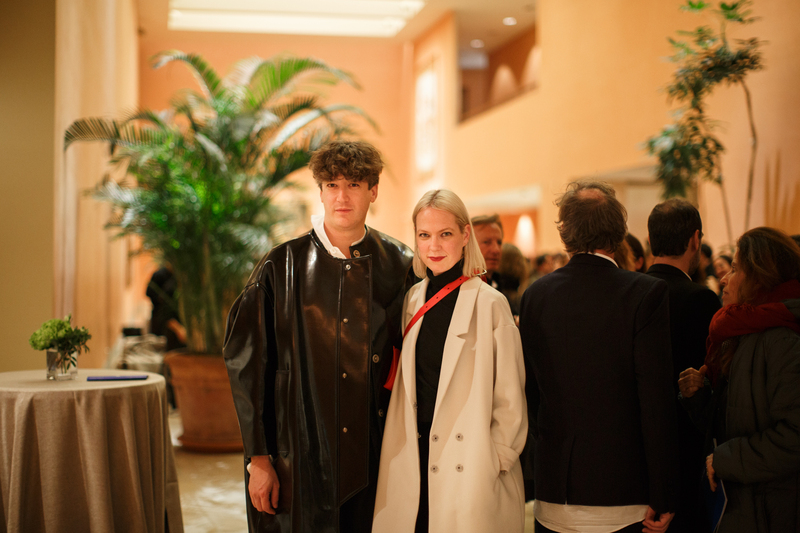 Isabel Martinez, the campaign’s creative director, reflects in each photograph not only the essence of the accessories, but the brand itself. 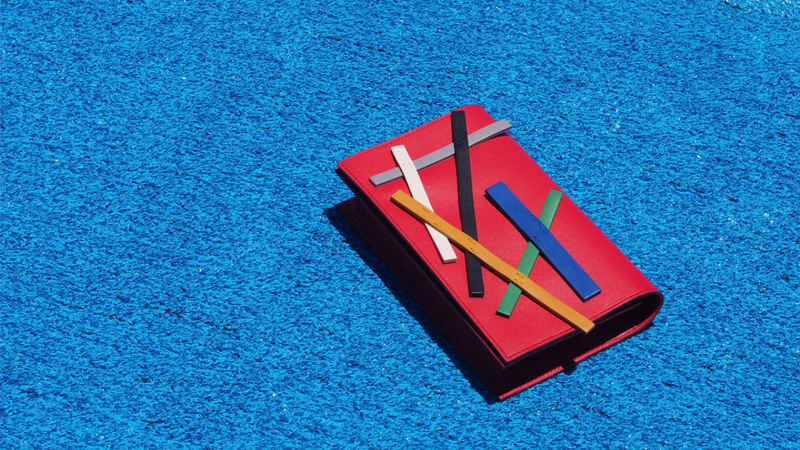 Red, blue, green and yellow are the main characters of Suprematism. 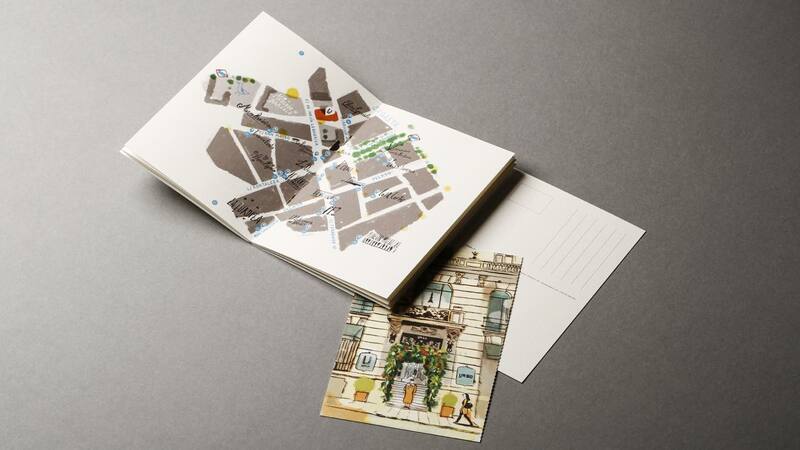 Not only do they predominate in the pieces, but they blend with the backgrounds and editorial style. 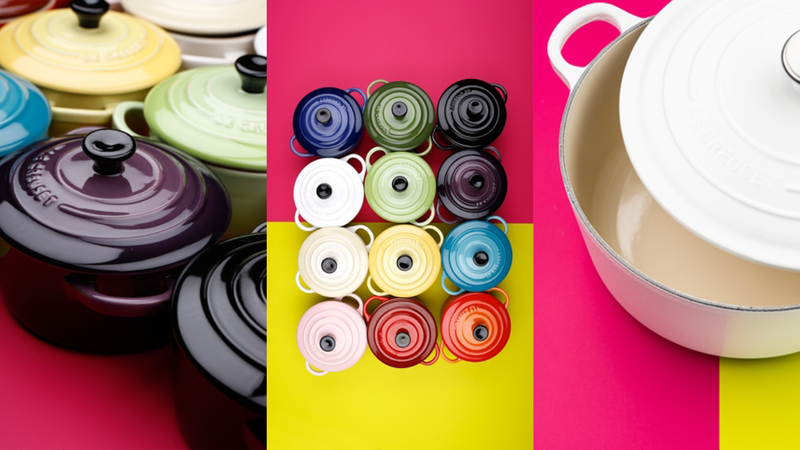 Combinations of bold colors for a bold collection. 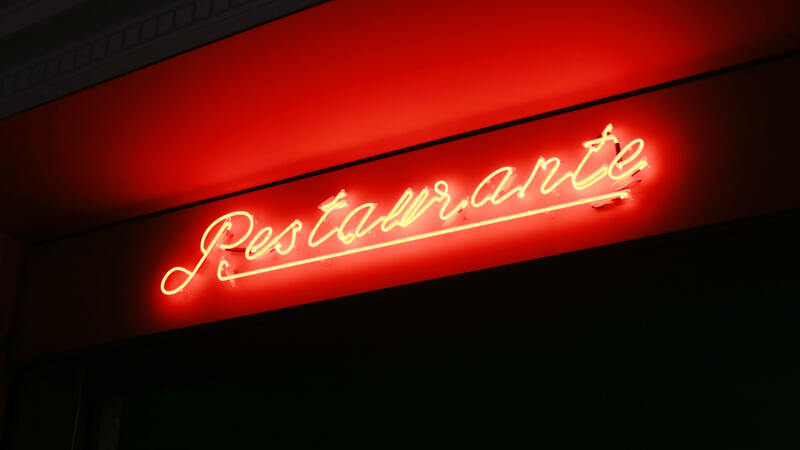 Promoting the most playful and fun part of gaming, with Las Vegas’ neons always present, we developed the paston.es logo, a new online casino and betting platform.